From cafes to record stores down to creative parks - here are some hotspots in Taipei music lovers should never miss out. 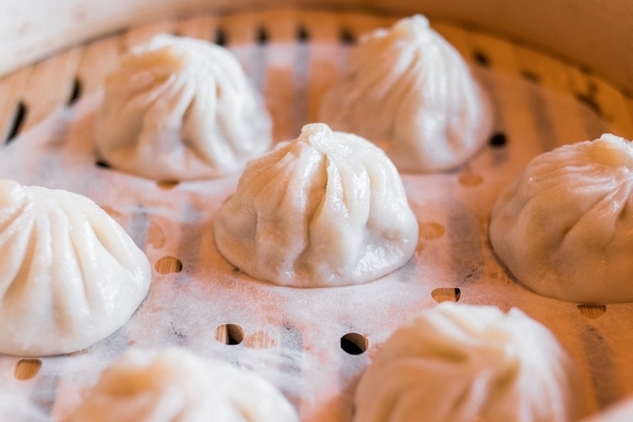 ​​​​​​​Xiao long bao, or little dragon dumplings, generally top anyone’s must-try in Taiwan food list. Though there are many places to get great soup dumplings around Taiwan, Taiwan Scene listed ten of the best. 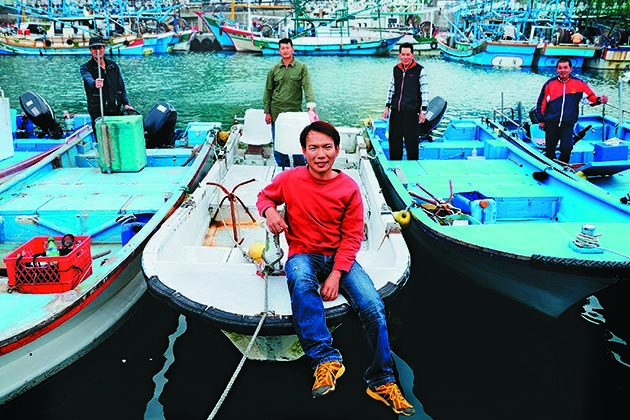 At 24, Jeffery Lin returned to his hometown of Sanxia in New Taipei City to save his grandfather’s soap factory from going under. 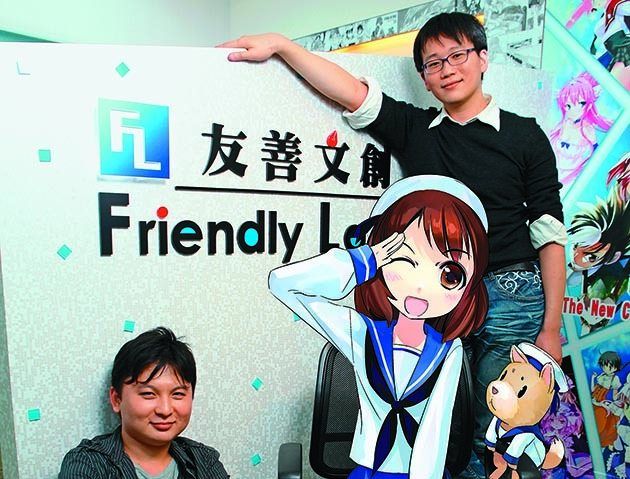 Together with a few friends, Lin established a new soap brand that generated sales worth NT$50 million in four years. 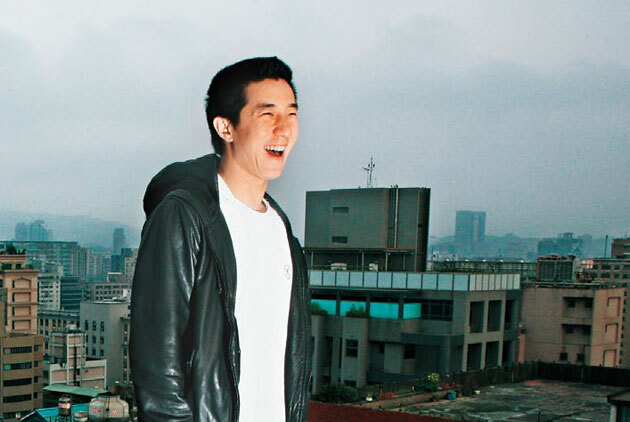 Despite his commercial success and a bright future, Lin decided to call it quits and test uncharted waters. 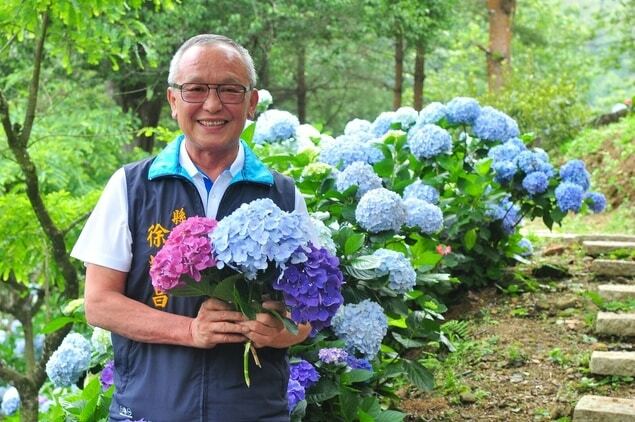 With borrowed money, he launched a community-based social enterprise. The Chinese character “wu”, written in different calligraphy styles from an ancient, formal seal script to a rounded and smooth cursive script, has been freed from the confines of paper to come alive on fashion apparel, moving with light and space. 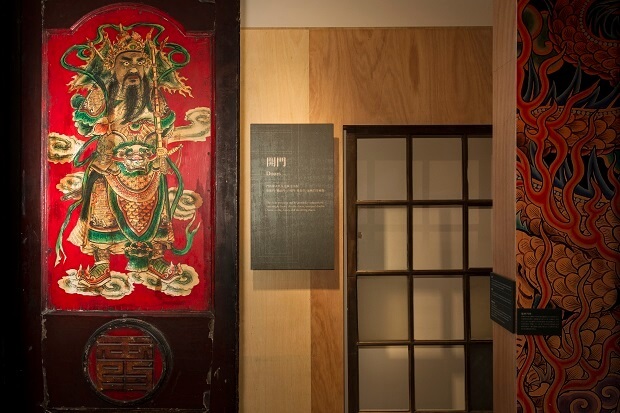 Taiwanese calligrapher Tong Yang-tzu, well known for breaking into the realm of modern art with her unruly, playful approach to traditional East Asian calligraphy, has co-curated another exhibition exploring a crossover between modern calligraphy art and fashion design. 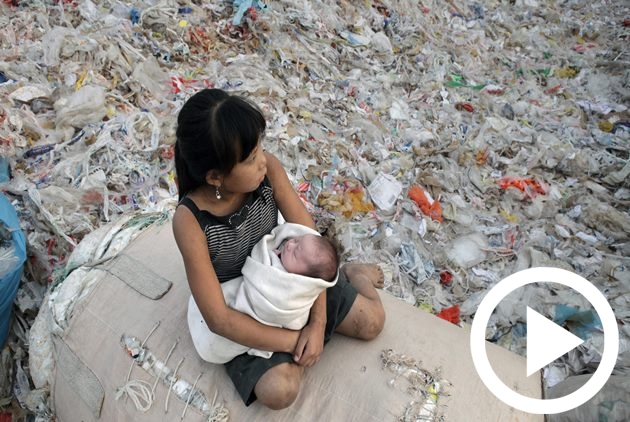 He sees himself not only as the director of the documentary "Plastic China", but a social worker who takes action: discover the problem, present the problem, resolve the problem. 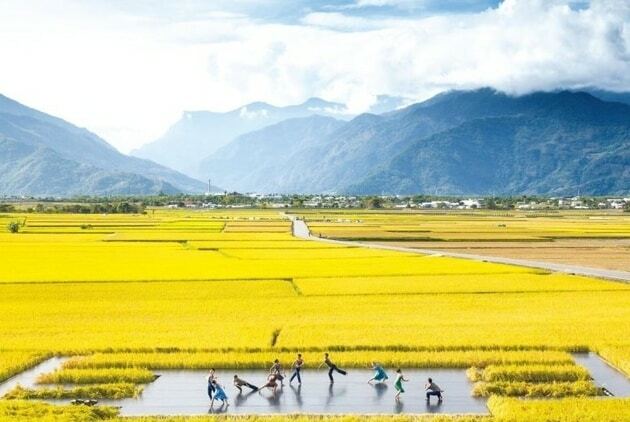 With traditional culture kept alive along the county’s coastline and in the mountains, four distinct seasons and a wealth of seasonal flowers and fruit, Miaoli has all it takes for developing slow tourism. With an architecture scene of the past that stresses practicality over beauty, Taipei has been dubbed by travel guides as "the ugly duckling of Asia.” Yet does that describe the future outlook? 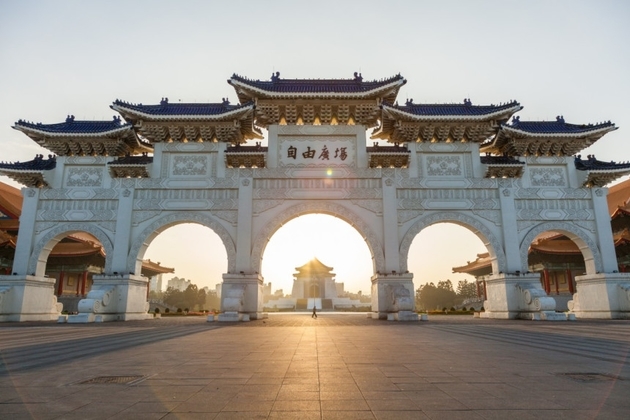 With more eco-friendly buildings, more public art spaces, and more innovative integration of form and function, Taiwan is now proving that its realm of architectural beauty covers more than just Qing-dynasty temples and Japanese Colonial-era buildings. If Taipei is Taiwan’s New York City, then Tainan is surely its Portland, Oregon. 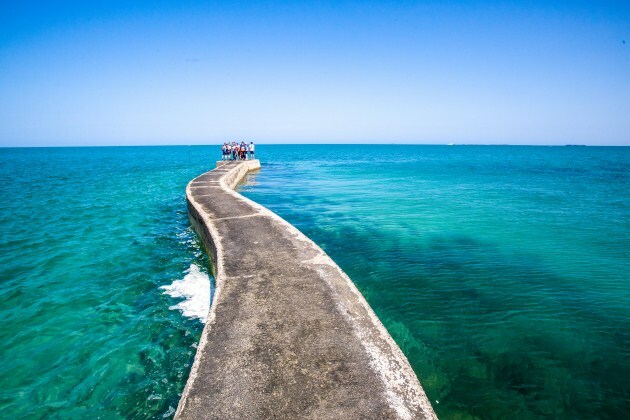 Wondering where to go during the hot summer months? 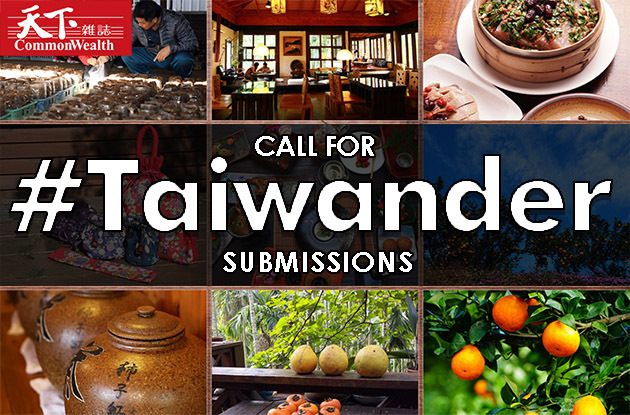 Consider visiting one of Taiwan’s growing regions to experience the sweet fun of fruit picking. 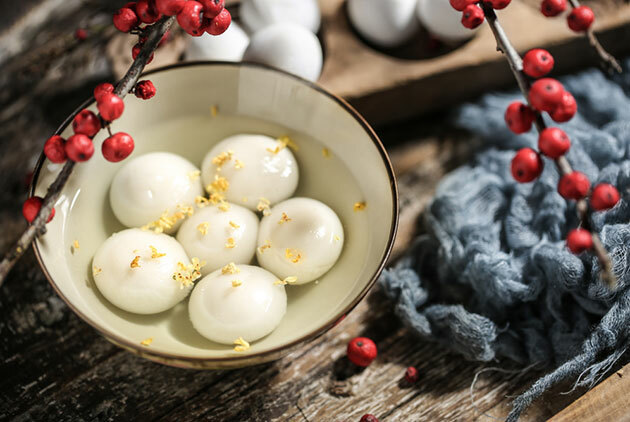 This season, delight your tastebuds with plump and chewy lychee, the bright red meat of dragon fruit, plump orange mangoes, and sweet, juicy watermelon while enriching your love of travel. 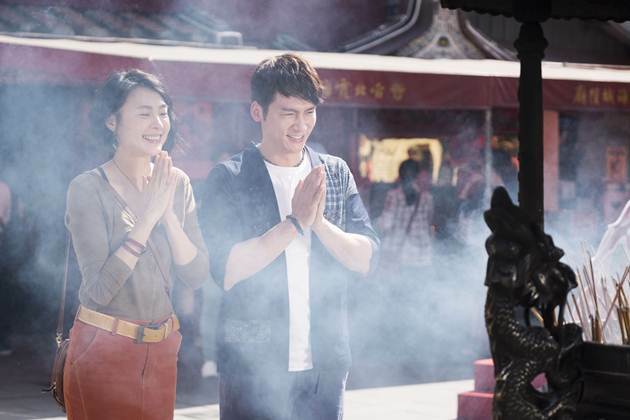 A tradition in both Daoism and Buddhism, Ghost Month is celebrated during the seventh lunar month in Taiwan, generally falling in August and September. 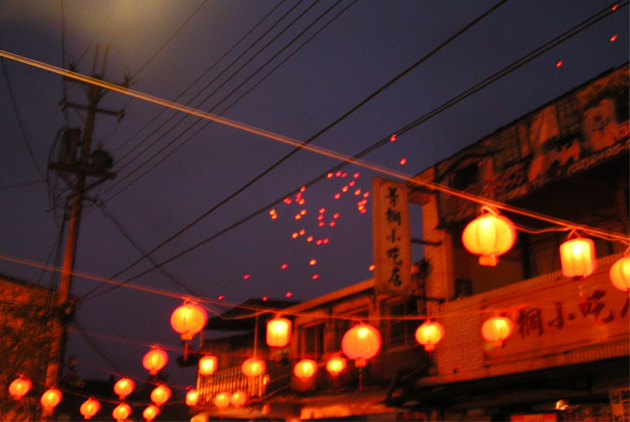 In this article, we’ll be talking about the traditions, taboos and individual festivals associated with Ghost Month in Taiwan. Why are there rumors that Taipei Guest House is haunted? 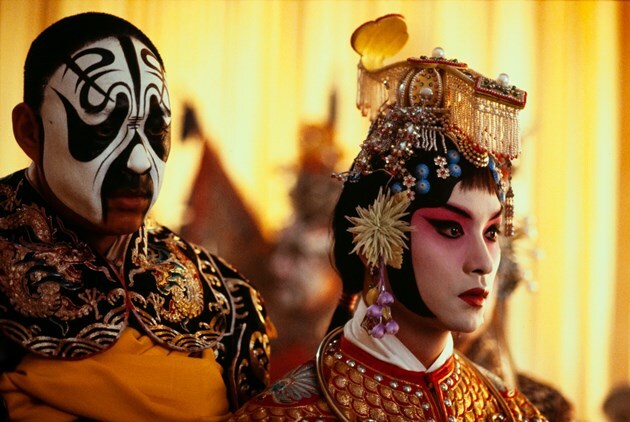 How could eunuchs become door gods? 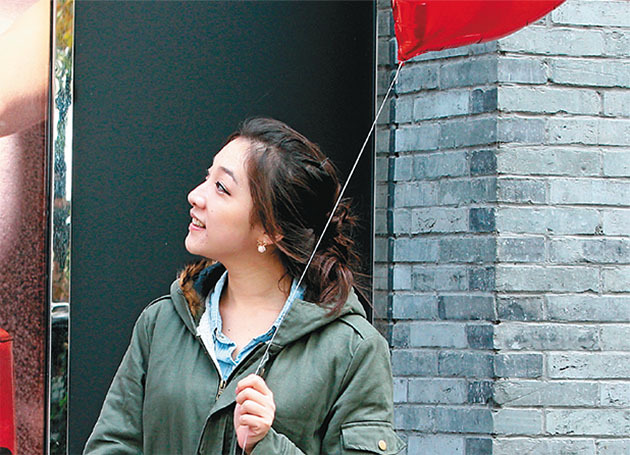 Anything you’re curious about doors and windows, find your answers at Dadaocheng this year. 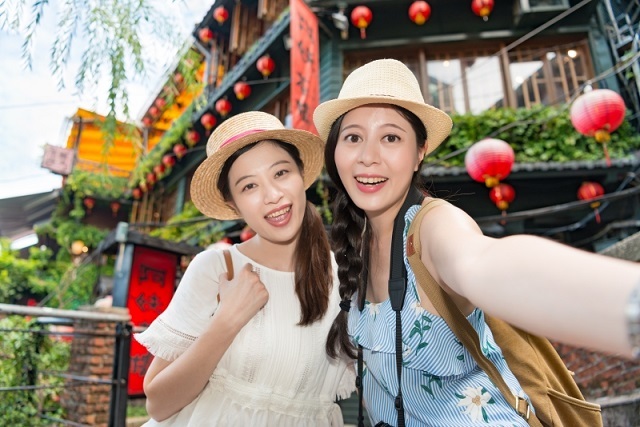 Shifting trends in global travel, along with the impact of the transformations of Taiwanese industry and manpower, have placed unprecedented challenges before tourism in Taiwan. 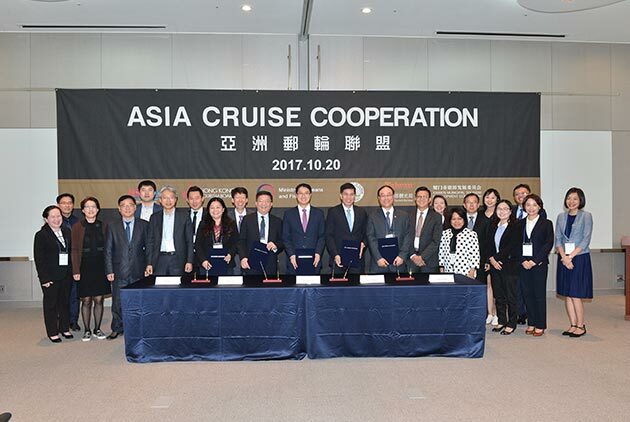 In response, the Taiwan Tourism Bureau has taken up the mission to consolidate central government and local resources and create new immersive experiences through smart travel. 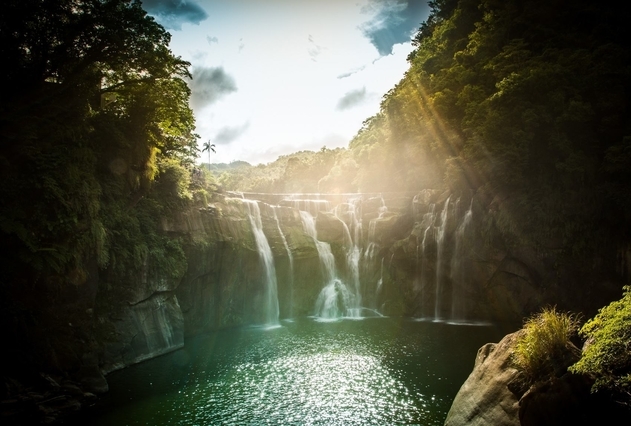 The city of Hsinchu has much more to offer than traditional cuisine and microchips. 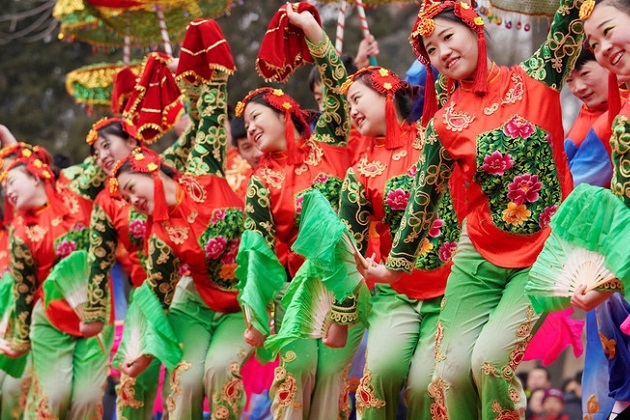 Over time, the forefathers who settled in the area around the Long-en Weir on the Touqian River some 300 years ago built a unique history and culture. Their descendants continue to innovate and improve their environment. Let’s take a look at the city’s past, present and future as presented at the recently concluded Hsinchu 300 Expo, which marked the city’s 300th anniversary. Nations, organizations, businesses and citizens are rallying around marine challenges like never before. As health-consciousness and animal welfare awareness are rising, vegetarian buffets are enjoying a boom in Taiwan. 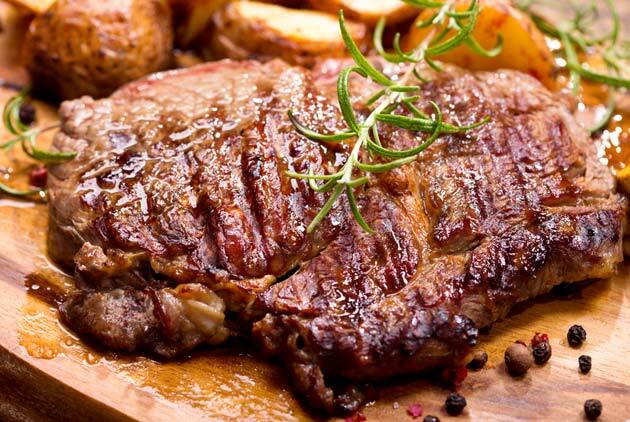 Exploring the food, this Fulbright scholar emphatically argues that Taiwan is the best place in the world for vegetarian food. 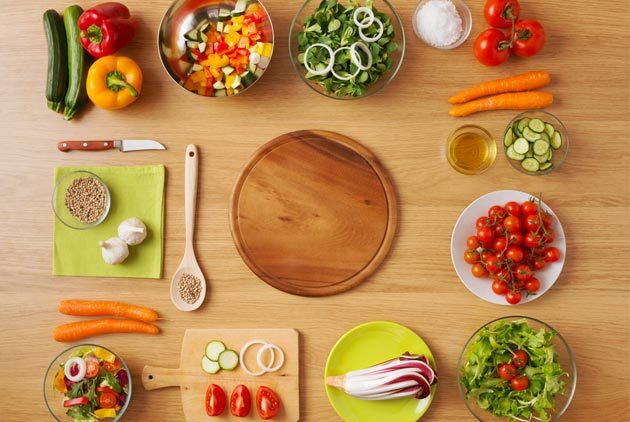 Today, 75% of the world’s plant food is made up of only 12 species. This dramatic impact on the world’s agro-biodiversity is accompanied by accelerating environmental degradation, the loss of diverse cultural understandings and appreciation of food, and an increasingly bland globalized menu – one that isn’t even very healthy. 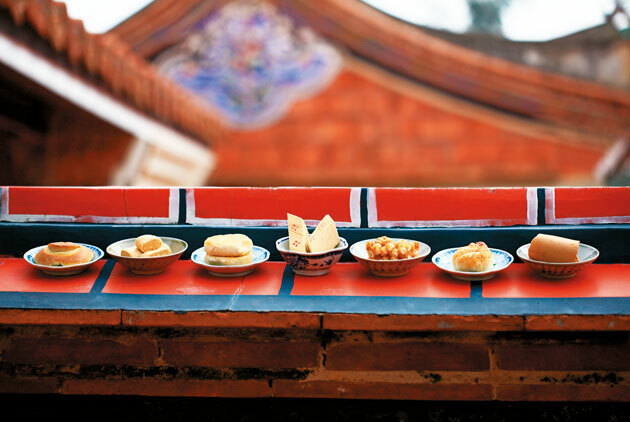 Luckily, diverse culture and food have an ancient and fascinating history in Taiwan. 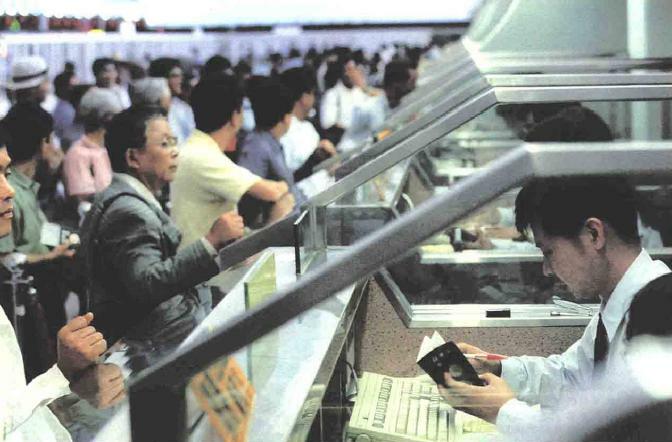 The members of Taiwan foreign community are increasingly engaged in society, willing to slog hard, always appreciative of the opportunities for which they had to fight. Over the years, they have also contributed to an increasingly cosmopolite society that welcomes and values the input from minorities at all levels of governance. 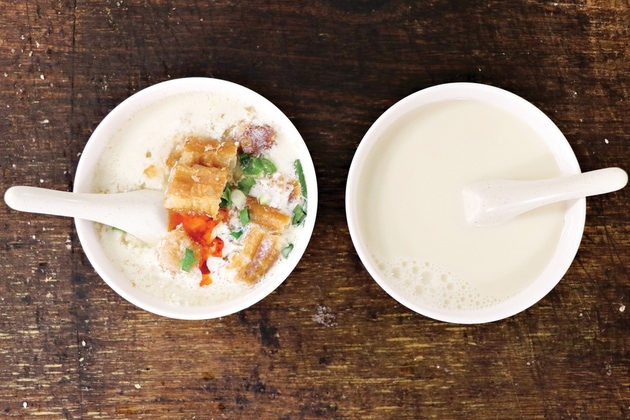 A time lapse video clip called A Taste of Taiwan has recently created a buzz on the Internet. Behind the production is Danish photographer Henrik Matzen. 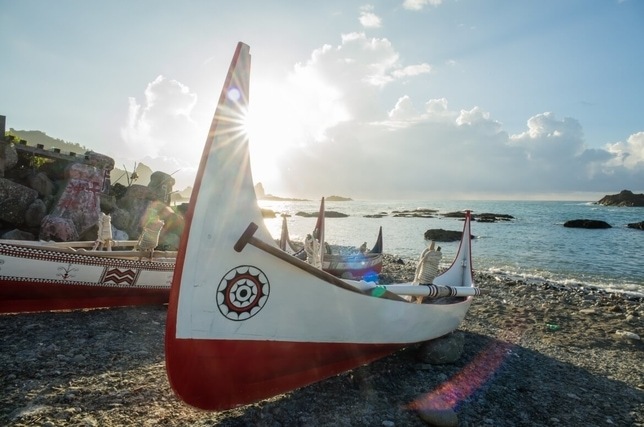 The video celebrates Taiwan’s scenic beauty but is also meant as Matzen’s personal thank you to the island and its people. What made Matzen spend three months shooting this video, paying out of his own pocket? 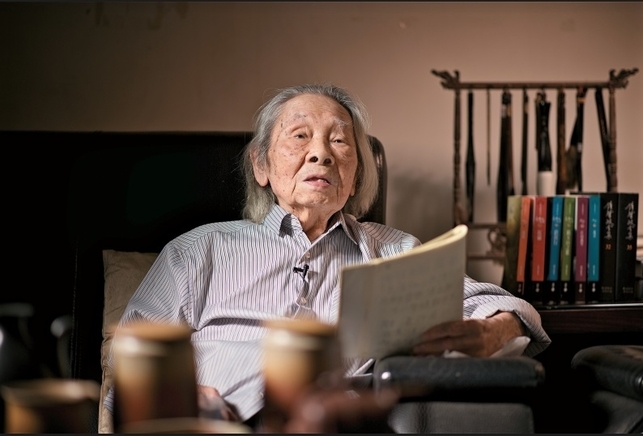 When 94-year-old Chung Chao-cheng walked into the living room, the visitors did their best to stay quiet as to cover up the exhilaration in their hearts. On this day, Chung would be talking about his home, Longtan—the land which never leaves his thought. Taiwanese singers Nana Lee Chien-na and Judy Zhou Ding-wei, who both became famous through the Taiwanese “One Million Star” talent contest TV show, play the lead roles in a new pop version of the original Chinese-language musical Mulan. 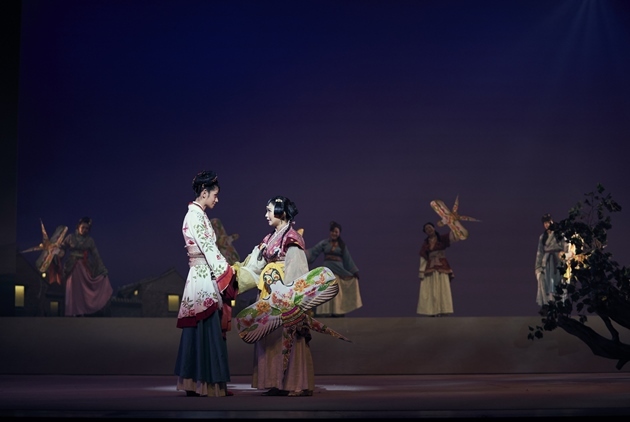 With their powerful vocals, the pair brings to life a version of Mulan that casts the legendary devoted daughter in a somewhat different light. 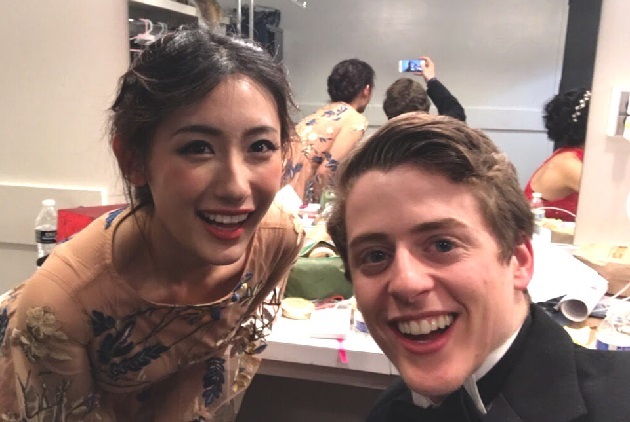 Playwright Tsai Pao-chang, director of the modern theater troupe Tainaner Ensemble, and composer Owen Wang, founder of theater company Studio M, add moments of laughs and tears, stemming from contemporary gender role issues. 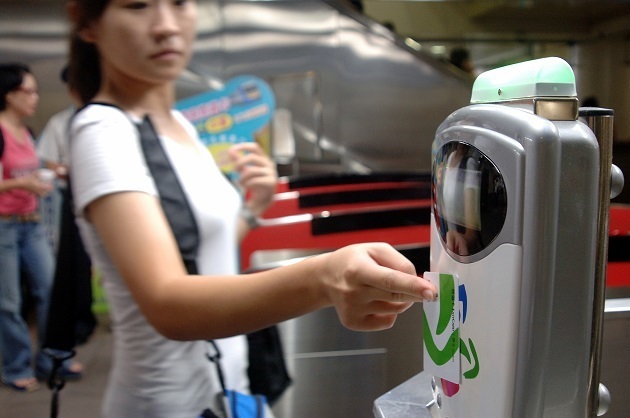 With Taiwan’s EasyCard, a stored value or prepaid card, you can just leave your wallet at home. Cashless payments with EasyCard make life so much more convenient, covering all your daily needs – food and beverages, transportation, shopping, leisure and entertainment. 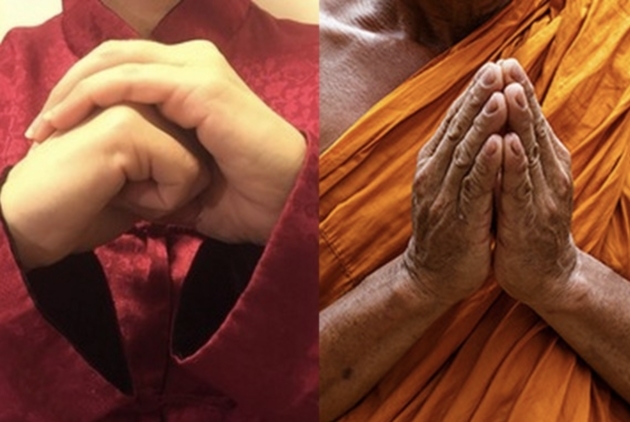 Just swipe your EasyCard when shopping for groceries at Shidong Market in Taipei’s Tianmu neighborhood, or when making a donation at Chaotian Temple in Yunlin County’s Beigang Township. Do you need tickets to the National Palace Museum or a tourism factory and want to take public transport or a taxi to get there? All it takes is EasyCard. Summer is in full force here in Taiwan, bringing with it sunshine, humidity and the occasional typhoon. 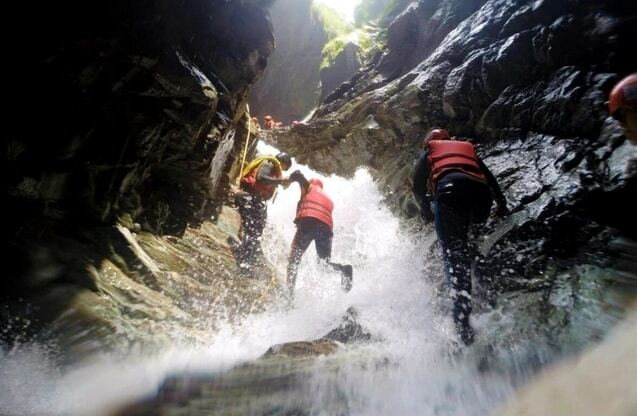 While there are plenty of activities in Taiwan for those looking to embrace the summer heat , and plenty more for those looking to avoid it , river tracing is one of the few that kind of lets you do both at the same time. 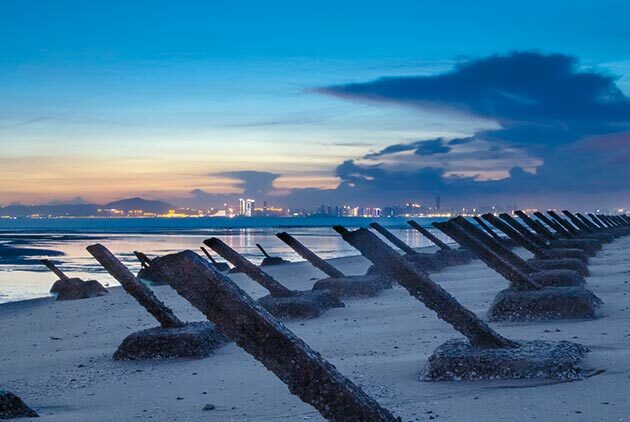 Fifty minutes away from the island of Taiwan by air, Kinmen has an incredibly rich history, culture and natural environment. Once a Cold War battleground, the island county stands out for its protected historical sites, traditional Minnan houses, and birdwatching opportunities. 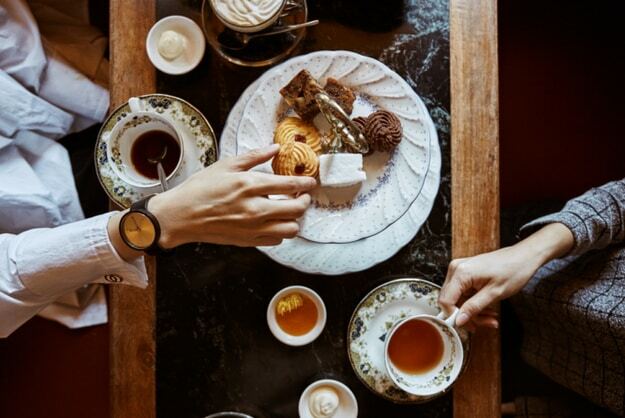 The historic Astoria Cafe, once a favorite gathering spot for Taiwan's literary greats, is a great place to experience the atmosphere of days past. 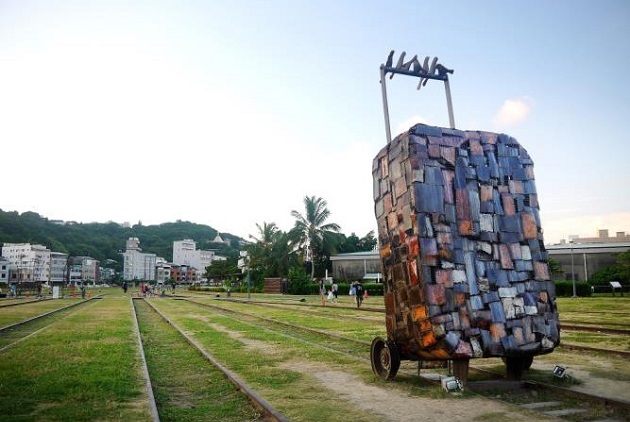 Recent years have seen the Port of Kaohsiung, long a source of local pride, blossom with numerous new sites and attractions in the district, including Pier-2, the Hamasen Railway Cultural Park, and Kaohsiung Port Warehouse No. 2 (KW2). The area is easily accessible and enjoyed via bikeways, the MRT, the light rail, and the newly christened KW2 Ferry Terminal, bringing the century-old port district into the new century. 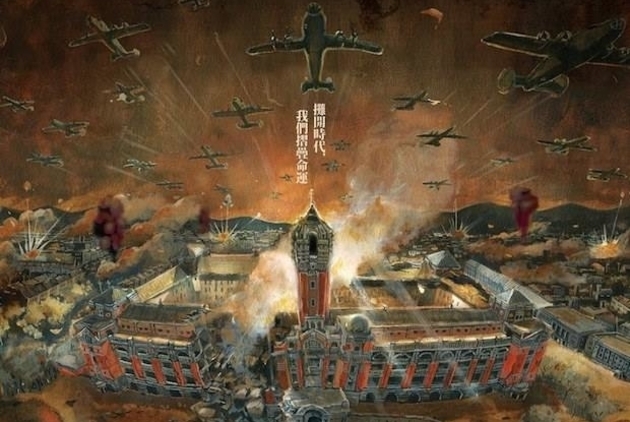 Tons of people are using the popular crowdsourced Q&A website Quora to ask questions about Taiwan. 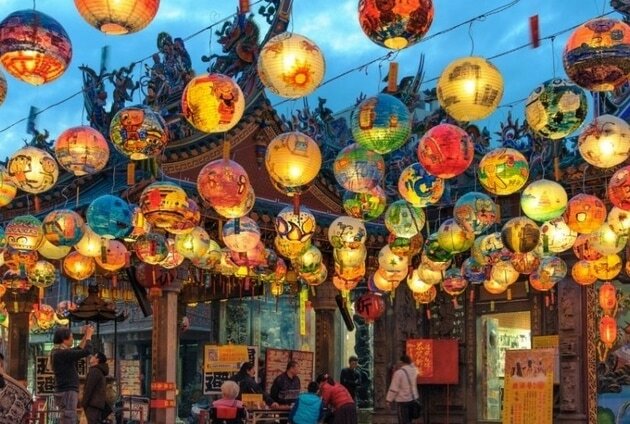 Since many of these questions concern travel in Taiwan, we’ve recently taken to Quora to offer tips & suggestions for first time visitors and the merely Taiwan curious. 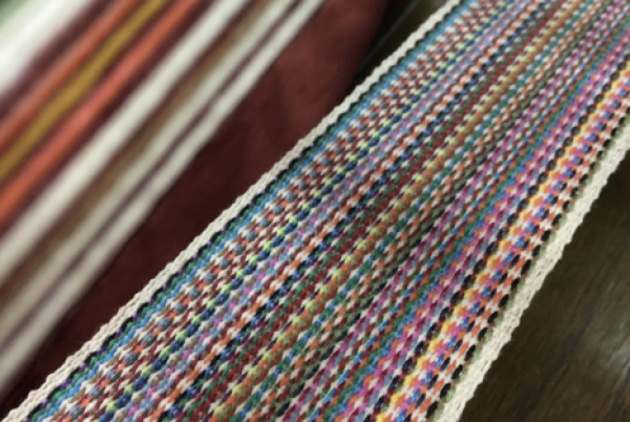 There are many ways to create a livable city; why start with design? 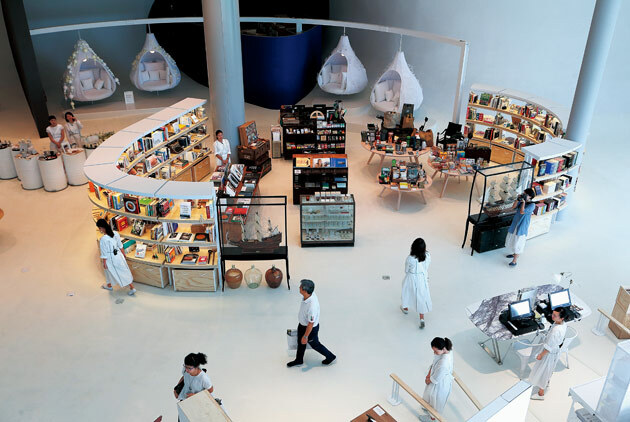 What did Taitung, not exactly an affluent county, do to make design prowess the shared goal of all its local government departments? 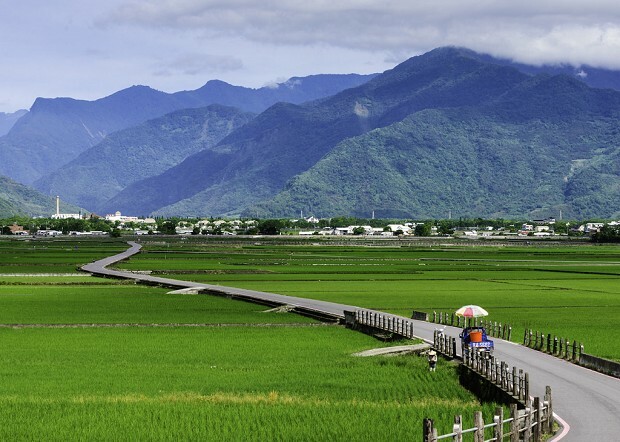 What do the people of Taitung get out of all this? A dialogue on the topic of “Design Entering Municipal Government Offices” between Han Wu, guest editor-in-chief of Future City@CommonWealth, Taitung County Magistrate Justin Huang, and Taiwan Design Center Chairman Chang Chi-yi gives us a glimpse of how change in the public sector also transforms the everyday life of Taitung County residents. From a track to a national greenway, the Reknus Selu Trail of the Taiwan Romantic Route 3 is an ancient path full of Taiwan’s treasures. There are legend and heritage on these whirling axles spreading more than 400 kilometers. Tea leaves and camphor laurel cultivated on this path interlinked Taiwan and the world in 19th century. 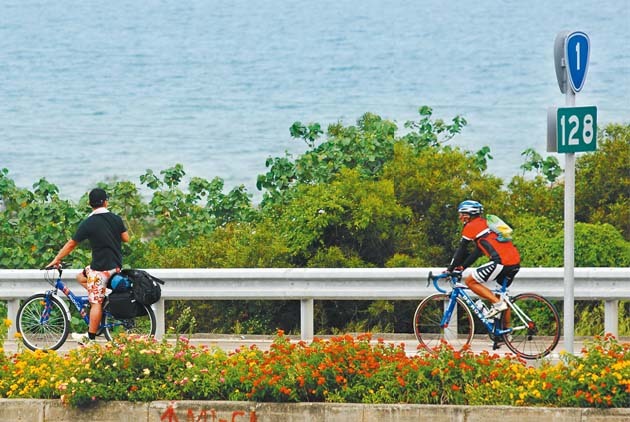 The Taiwan Romantic Route 3, a way leading Hakka people home, highlights the underestimated romance of Taiwan. Here, you cover scenery as you cover ground on the race course. 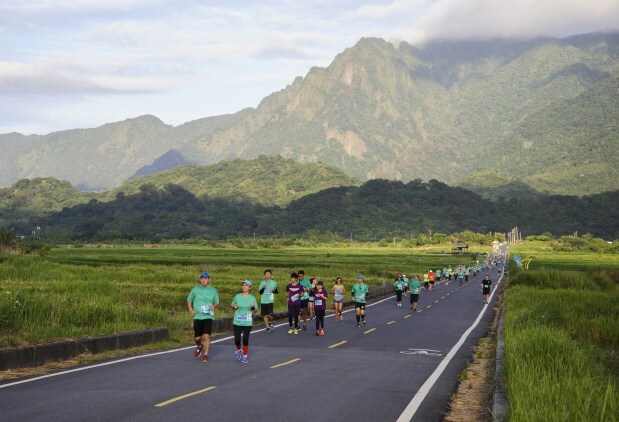 From sparkling coastal courses, to a stunning route wending through a marble gorge, and a marathon that feels like a banquet on foot; Taiwan hosts an incredible variety of races like nowhere else in the world. Asia has emerged as a fierce tourism battleground. 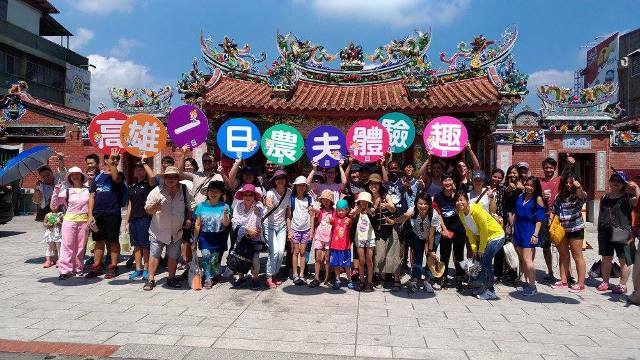 How should Taiwan's tourism sector be improved and upgraded so that Taiwan can be better appreciated by its people and stand out in the world? 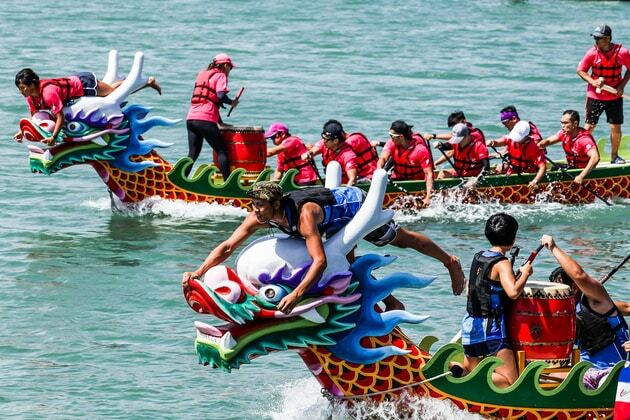 Participating in the annual boat races is a unique chance to connect with local cultures for most foreigners. It is also an opportunity to build social connections and successful team dynamics that enhance your fighting spirit. 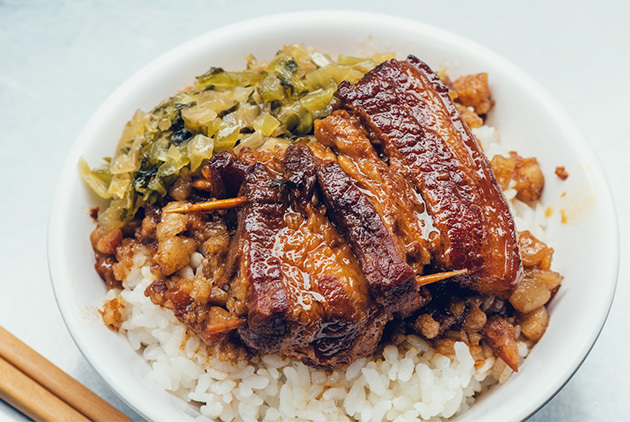 From sweet rice ball soup, zongzi, to sticky oil rice for celebrating a baby's first month, glutinous rice is milled into the most familiar and nostalgic flavors for Taiwanese. 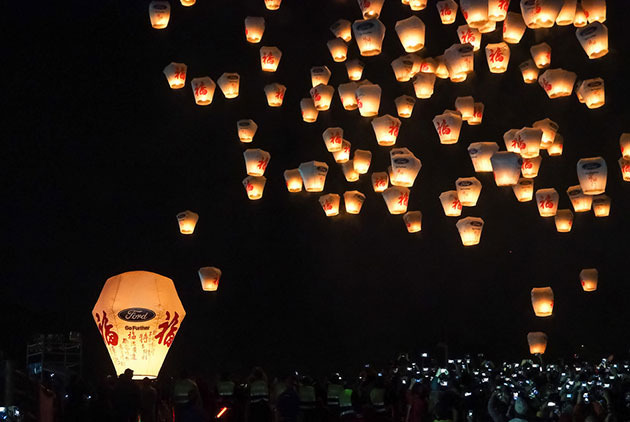 It is frequently a component of festivals throughout the year and at various stages of people’s lives. Notes from a Small Island meets Eat Pray Love on the Tropic of Cancer, Formosa Moon is a dual-voiced cultural exploration around Taiwan undertaken by Joshua Samuel Brown (a long-time resident and author of three other books on Taiwan) and Stephanie Huffman (a first-time visitor who’s reluctantly agreed to relocate sight unseen), a sneak excerpt of which to kick off our featured #Taiwander submission series. 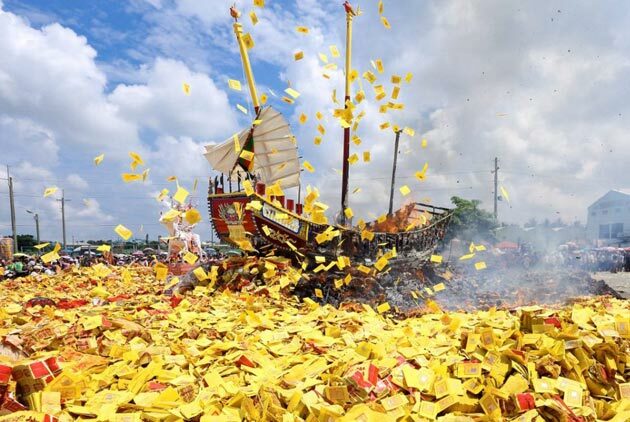 Named by the Discovery Channel as one of the top three religious festivals in the world, the Dajia Mazu holy pilgrimage attracts large numbers of people of Chinese descent from abroad and foreign travelers alike. 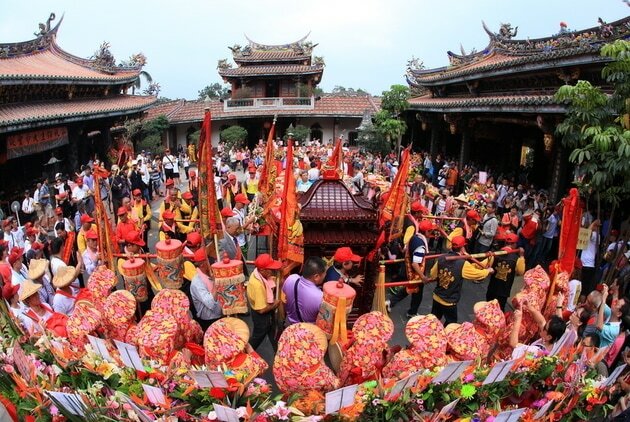 What makes the Mazu pilgrimage so special and fascinating that participants keep walking, determined to never look back, even when they have painful blisters on their feet? 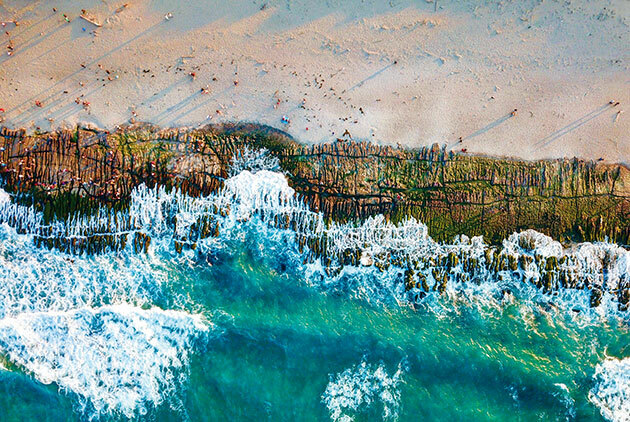 Thanks to the dedication of Henrik Matzen and Jonas Hoholt, a breathtaking video was made, revealing the vibrancy of the island that put both travelers and locals in awe. 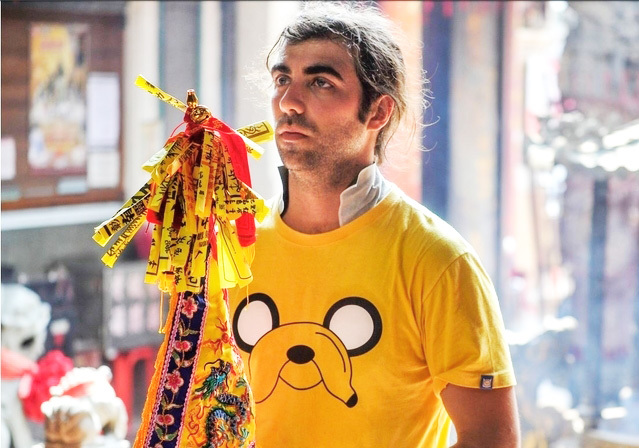 Everyday experiences like shopping for materials at Yongle Market or listening to the rush of motorcycles on nearby streets provide vital creative energy for emerging Taiwanese fashion designer Angus Chiang. 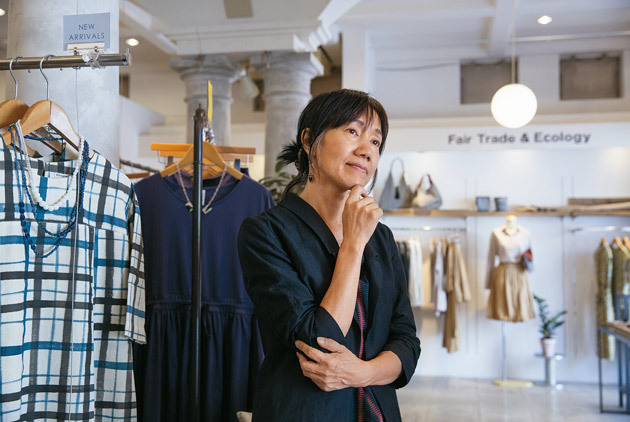 This attuned sensitivity to Taiwan’s distinctive everyday culture has helped Chiang make inroads into the fussy European fashion market. 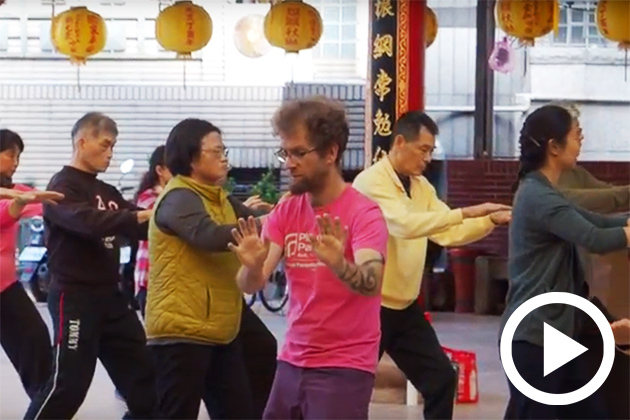 Joshua Samuel Brown, co-author of twelve Lonely Planet guides, started his "long and slow" Tai Chi journey, not just to delve deeper into the mysteries of Chinese culture, but also because he doesn't want his Tai Chi classmates think he's a quitter. 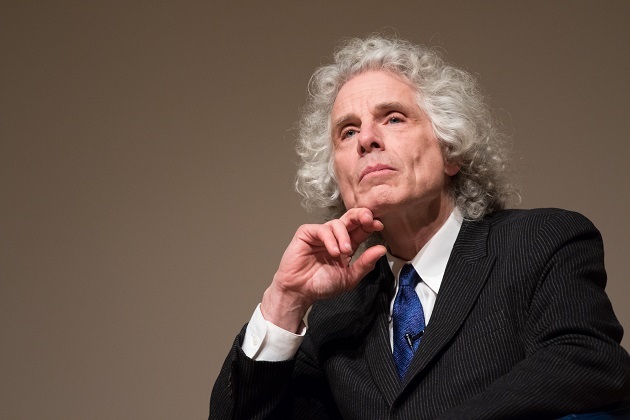 "The Enlightenment has worked - perhaps the greatest story seldom told," writes psychologist Steven Pinker in his latest book. 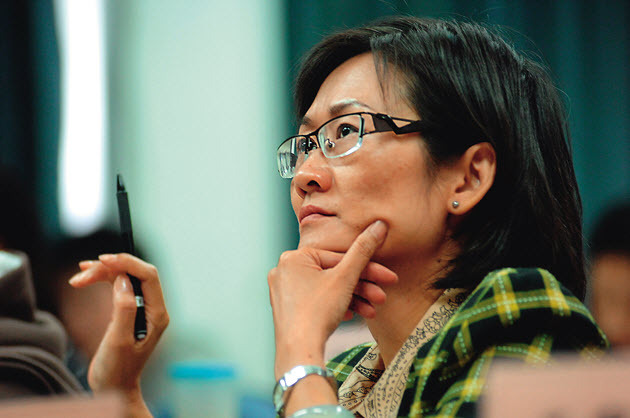 Former Culture Minister Lung Ying-tai went to the United States to study when she was 23. She stayed there for nine years and subsequently lived in Europe for another 13 years. 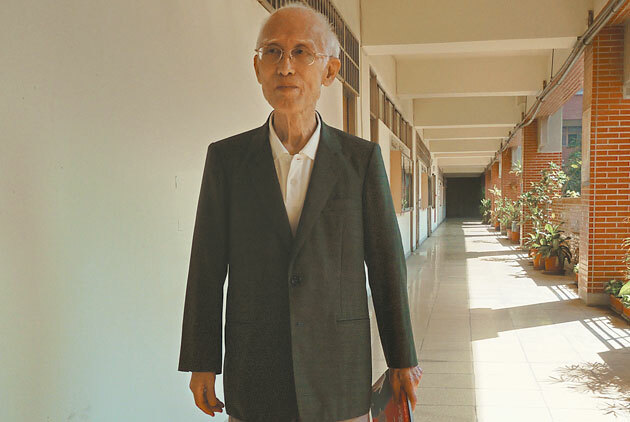 Back in Taiwan, Lung served as head of Taipei City’s Department of Cultural Affairs and then joined the Cabinet as Minister of Cultural Affairs. 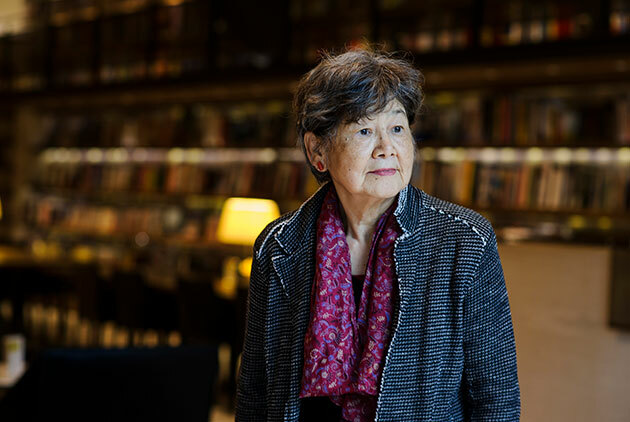 Between her government posts, Lung taught at universities in Hong Kong for a total of nine years. 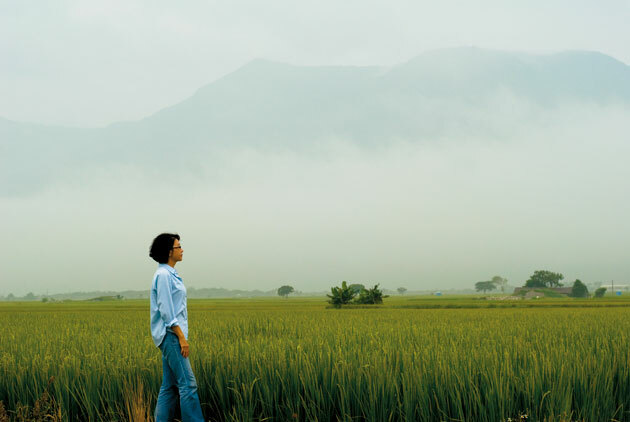 During more than three decades abroad, her parents back in Taiwan were always at the back of her mind. 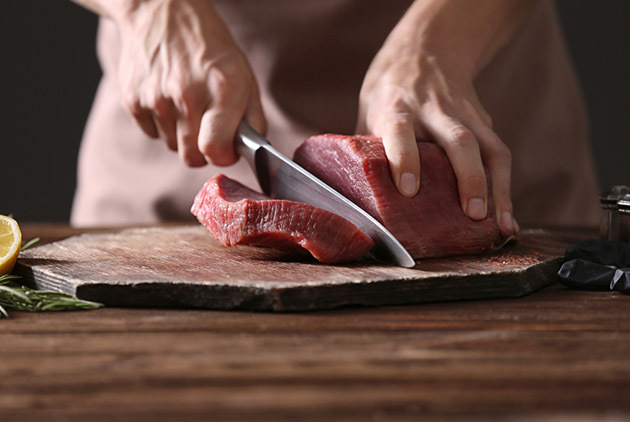 A new campaign suggests ways to cut pollution, animal suffering and unfair trade from our diets. 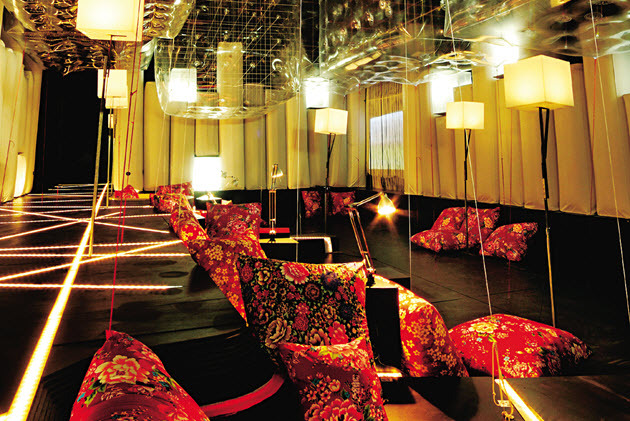 When was the last time you gave yourself a timeout in this bustling city? 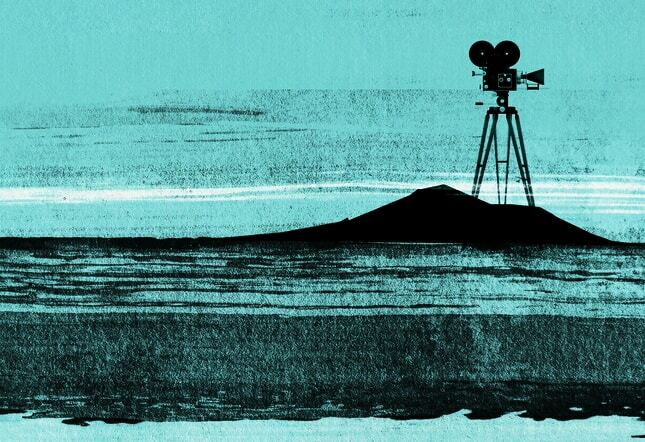 This May, join us for some film-watching along the scenic riverbanks at Tamsui River Film Festival. What's your #Taiwander story? Share it with us, let us broadcast it to the world through CommonWealth Magazine and then find yourself on an exciting MyTaiwanTour this year! What's your #Taiwander story? Share it with us, let us broadcast it to the world, then find yourself on an exciting MyTaiwanTour this year! 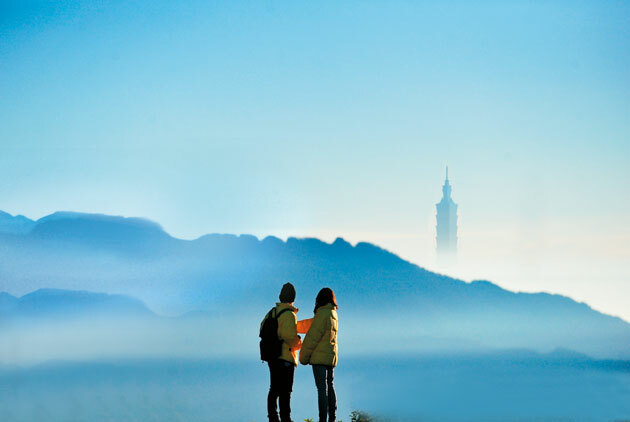 Where would you like to go with MyTaiwanTour? Here are some best travel recommendations for 2018 from their guides. 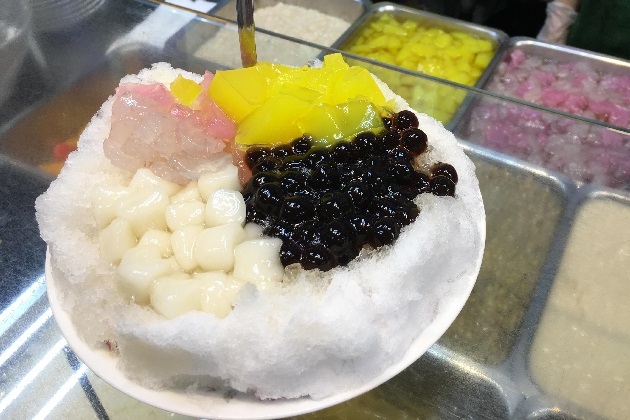 Haven't visited Ximen and Beimen last weekend? 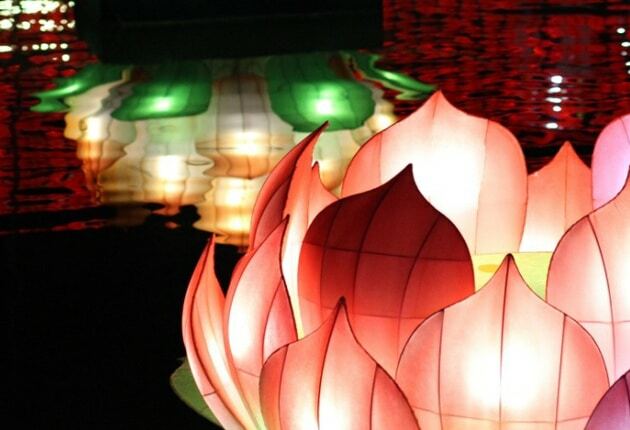 This weekend might be your last chance to catch a glimpse of the beauty of the city lit up with lanterns! Had a visit already? 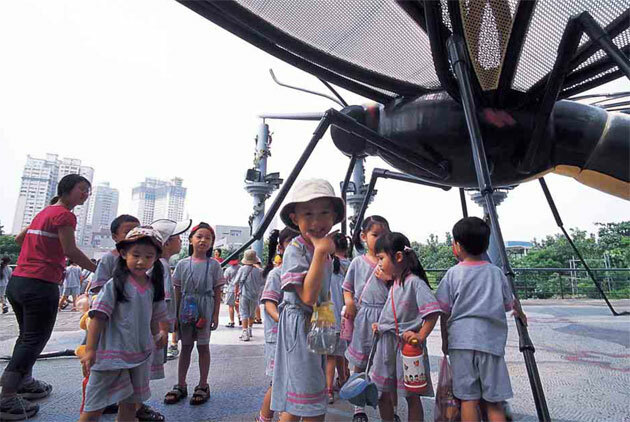 Then check out the list of top attractions and surprises to see if you have missed out any. There are only two overwintering butterfly valleys in the world, one is in New Mexico, U.S.A. and the other one is in Maolin. 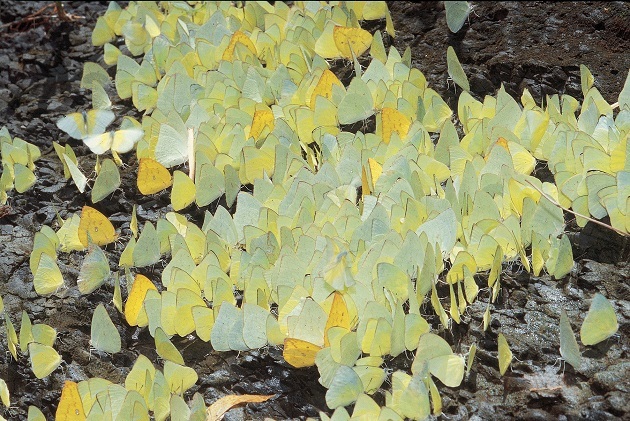 Each year during autumn and winter seasons, millions of butterflies migrate to warm areas to cope with the cold. 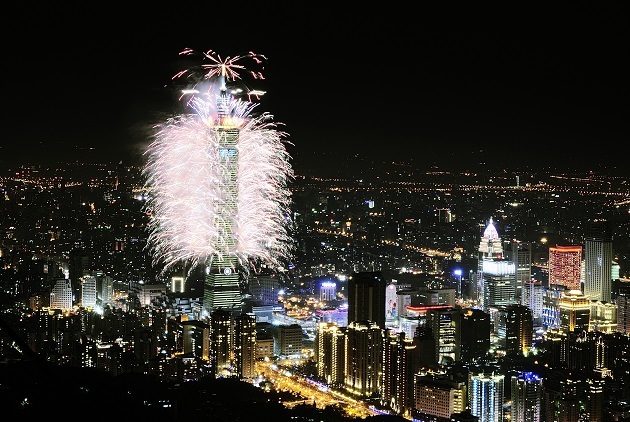 Taipei—Ghost Town during Chinese New Year? Still wondering where to go for the coming holiday season? 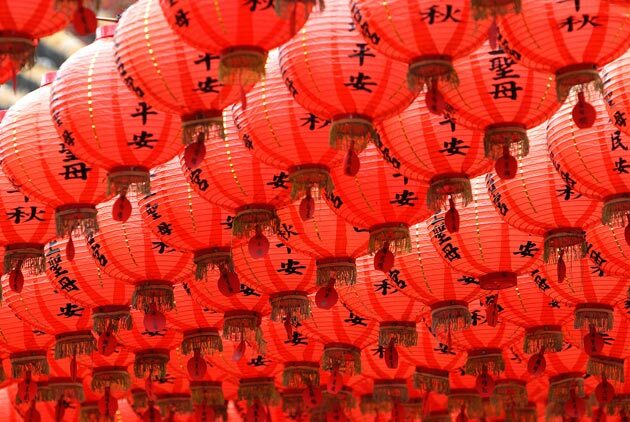 Fly a lantern to send your blessings, ask some friends to join you 'around the round table,' then drink yoursleves merry to welcome the new lunar year! 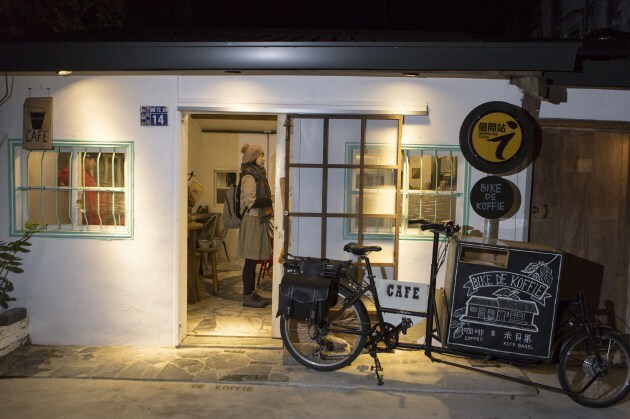 In Taitung’s Chishang Township, the Granary Art Museum, ISwell Cultural Boutique, and Bike De Koffie, which makes bagels from local rice, introduce new local aesthetics. The New Gangshan Hilltop Observation Deck (崗山之眼) was built as a sky cloister under a budget over NT$100 million. 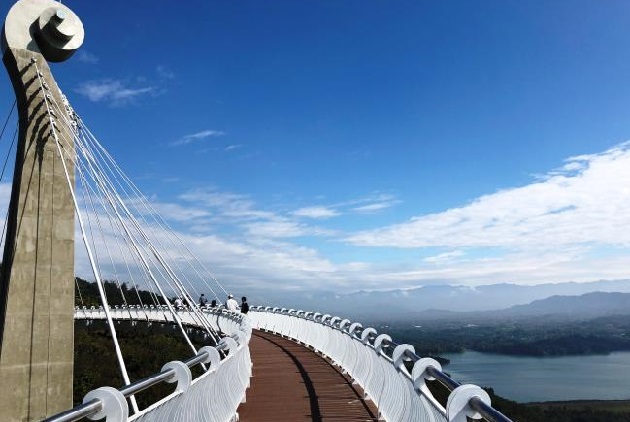 What is innovative about the observation deck is that it exhibits the beautiful landscape of Gangshan through the symbol of music, which conveys an image of melodic harmony. 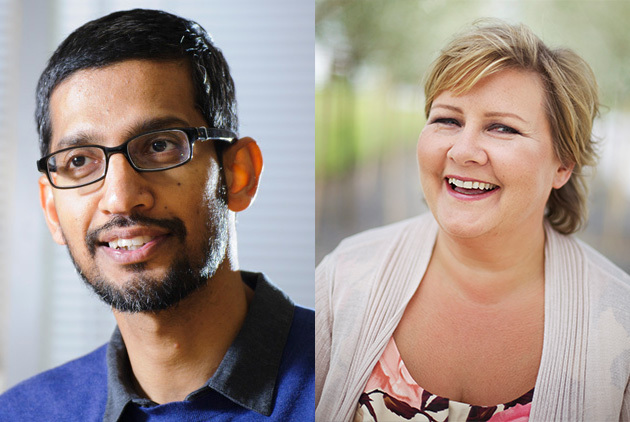 From Sundar Pichai to Erna Solberg and Steven Pinker, Davos participants name the volumes that inspire them. 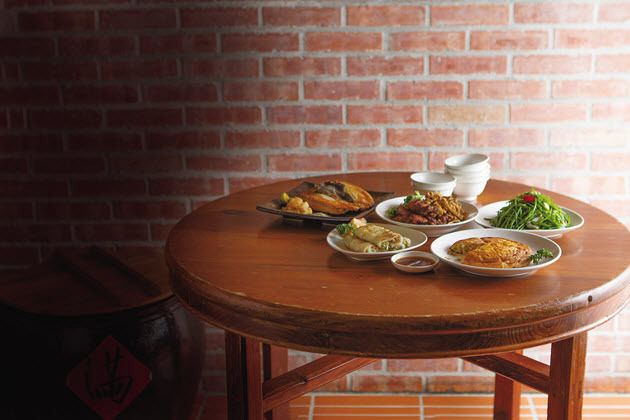 Other than the “little eats” snack food for which Tainan is renowned throughout Taiwan and beyond, in generations past the private banquet food served in the homes of the area’s wealthy represented the pinnacle of fine cuisine. Now this ‘rich man’s fare’ is making a comeback. This exclusive interview with All the Money in the World director Ridley Scott, actor Michelle Williams, Christopher Plummer and Mark Wahlberg brings a first hand look behind the scenes and into its famous 'reshoot'. How did Scott and others manage to replace protagonist Kevin Spacey and reshoot the scenes in nine days? 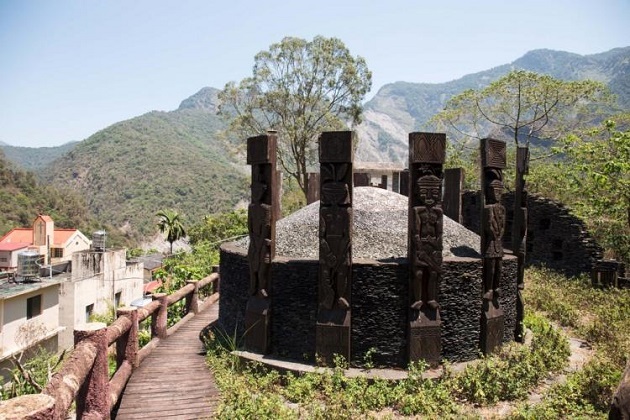 Kungadavane Tribe is the final stop of the Maolin Scenic Area and also the very origin of local culture. Enter the tribe of Kungadavane and indulge yourself in the well-crafted stone houses, stone BBQ and rice cooked in bamboo tubes. The diverse characteristics of indigenous local life are great experience of five senses for visitors. “Daxi is a living old street. 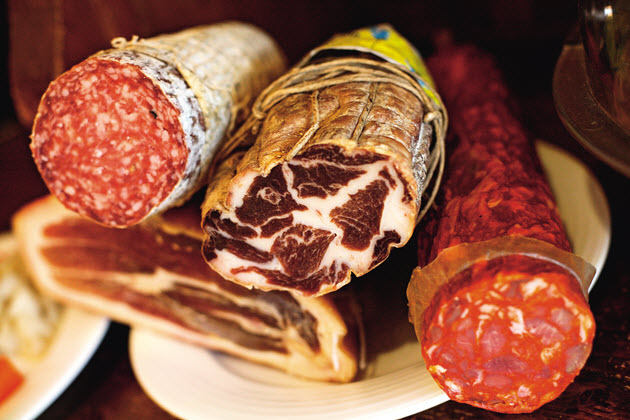 Here foreign visitors can experience local life. 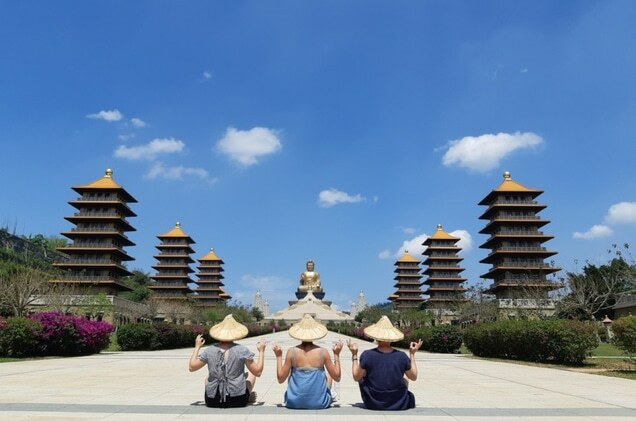 It is like a living museum,” says Mu-Chin Lee, a travel expert who assists the Taiwan Tourism Bureau with showing foreign visitors around Taiwan. Is time socially constructed? If so, why do we make new year resolutions? Having said goodbye to the bumpy year of 2017, how should we keep making progress? With the Taoyuan Airport MRT and city bike rental service (YouBike) combined, it is easy, leisurely and economic to visit great travel spots in Taoyuan. The old town area of Zhougli is one of those spots that you shouldn’t miss. 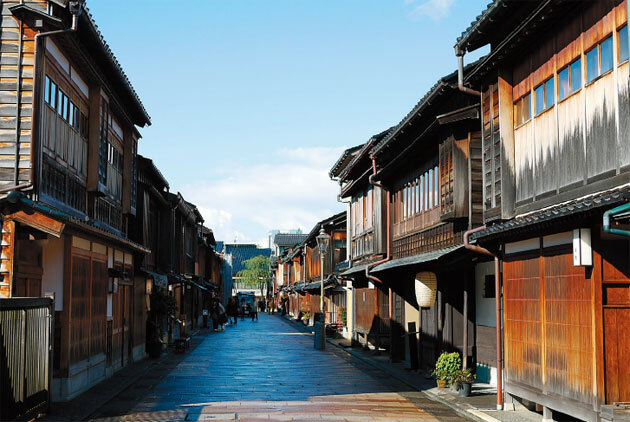 It is rich of local history and culture. Moreover, the night market and food are astonishing. Do you consider yourself as an artistic, trendy hipster? Or are you just a normal person who occasionally enjoy culture and art? 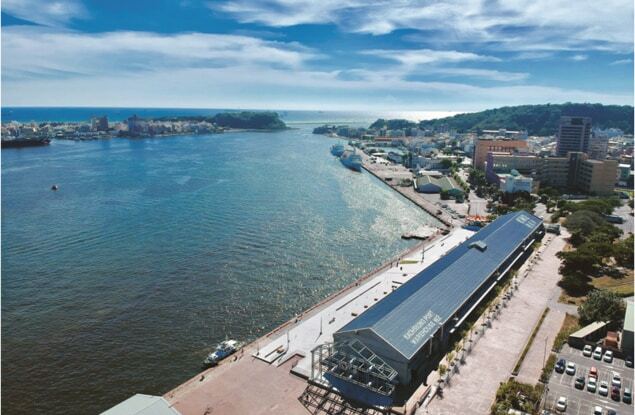 Either way, Pier-2 Art Center in Yancheng, Kaohsiung is an excellent place for you to spend a weekend. Heading towards the unknown can be challenging but also rewarding. The high and exciting Kungadavane suspension bridge is one of these kinds of challenges. 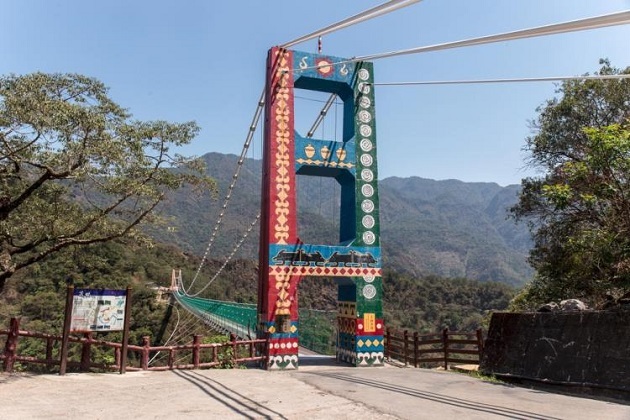 This extremely beautiful bridge is located in Maolin, Kaohsiung, attracting adventurous travelers with magnificent scenery and remarkable experience. 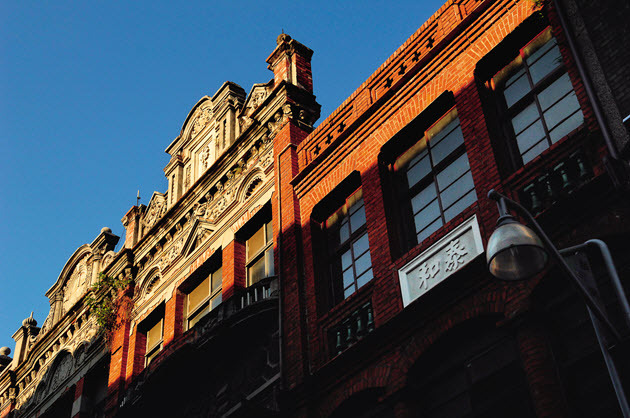 KUBIC, a cultural and creative market in Kaohsiung captures the eyes of both the city's visitors and residents. It is built by containers and will definitely challenge your imagination and concept of architecture. Kaohsiung's Formosa Boulevard Station is globally recognized as one of the most beautiful subway stations in the world. 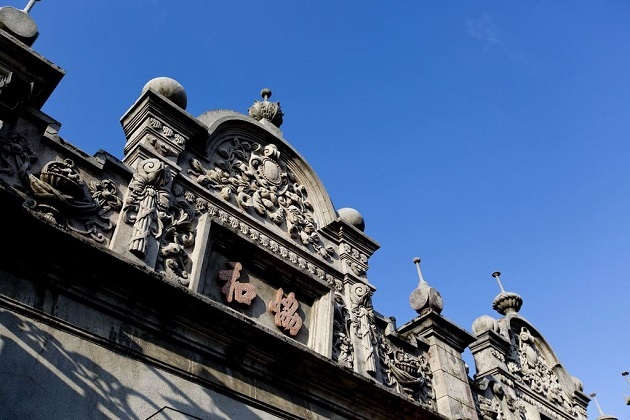 Fongyi Academy built in 1814, is one of the oldest schools in Taiwan. Here is why you should visit there. "Nostalgia looms large to be a Channel. Here am I, and yonder my Continent!” Once a poet that had strummed the strings of all nostalgic hearts, Yu Guangzhong (余光中) conveyed one message through all his writings: “The beauty of Chinese culture should be passed down through words." 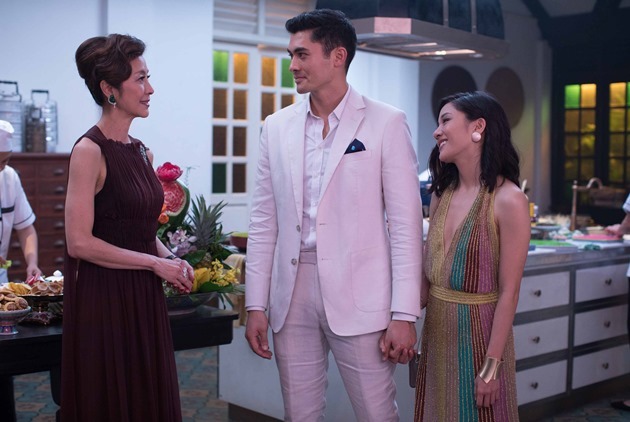 "Long live to you" is what the director of the movie The Bold, The Corrupt, And The Beautiful said to the corrupt officials he based his characters on. 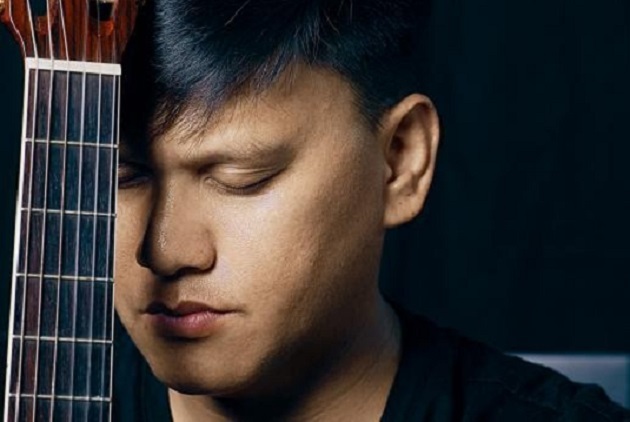 The accomplished indigenous musician expands on the inspiration behind his music, as well as how nature and culture have both helped him deal with the challenges in his life. A young Indian poet talks about her falling in love with a biriyani other than her mother's. She has danced herself from Yilan to New York, from stage to screen, conquering large theaters around the world for 30 years. For this 46-year-old dancer, what has driven her to never stop improving? What sort of satisfaction and joy did she gain from the journey? Meet Fang-Yi Sheu, a woman still dancing her way up to achieving her dreams. 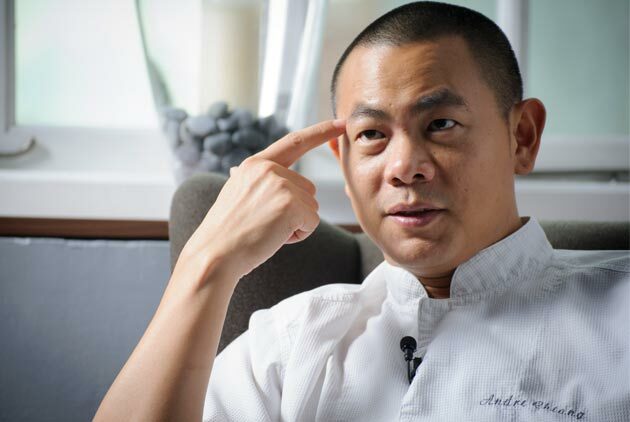 Taiwan's first Michelin Chef André Chiang has just officially announced the closure date of Restaurant ANDRE after 8 years of legacy. 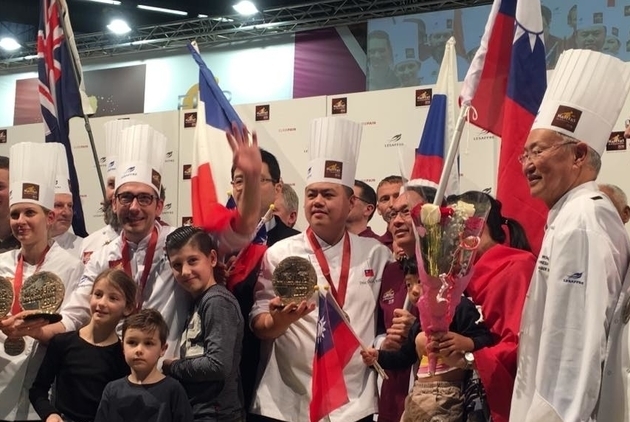 He expressed his enthusiasm and caring about passing down his experience and knowledge to young talents and cultivating a better food culture for Taiwan in the future. Under the bright sunny day, a group of sweaty people are wearing gloves and protective clothing in a large pineapple field, and hurriedly harvesting pineapples. 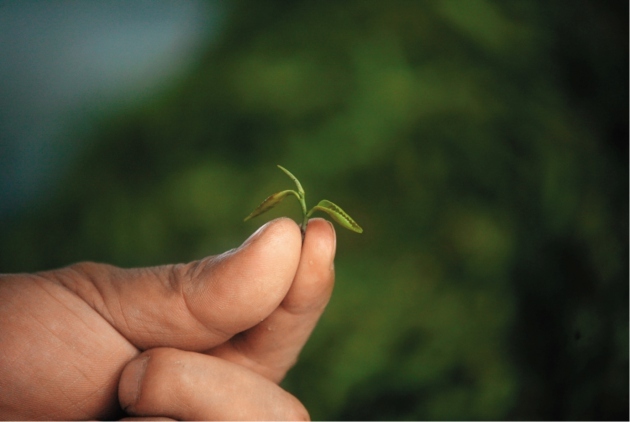 The edge of pineapple leaves is very sharp which one hand has to hold the bottom while the other bend it down with great strength. However, these group of people aren’t farmers at all, they are tourists coming from Japan. 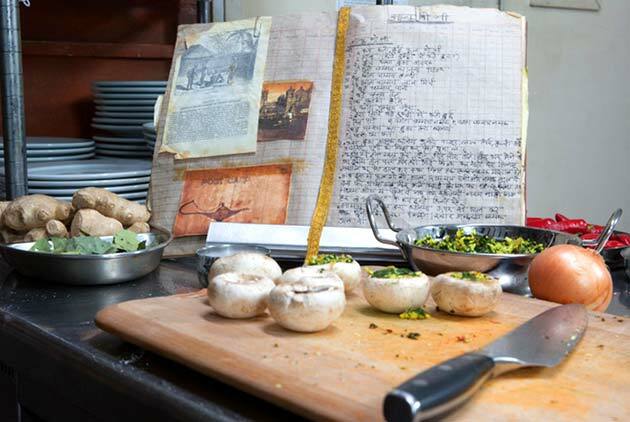 Laura Russell is a writer and recipe developer based in Portland, Oregon. 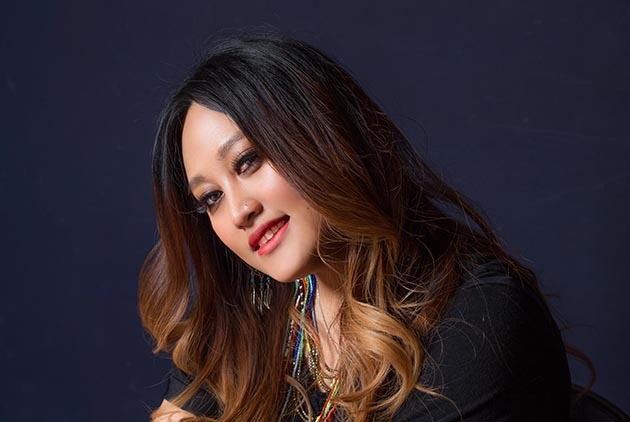 She is also a regular panelist on the award-winning podcast, The Four Top. 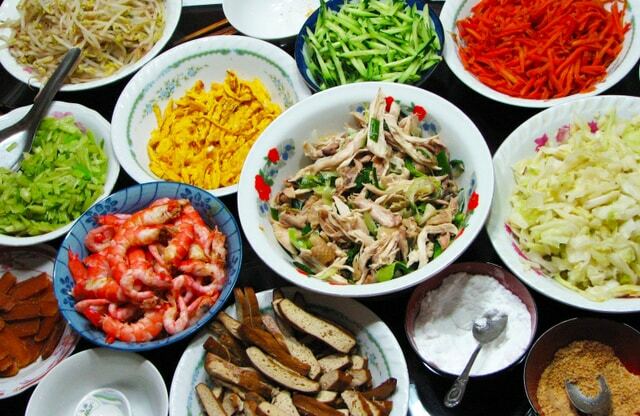 Here she shares her experience and journey with the interesting factor in Taiwanese cuisines: "Q". The female farmers group “Land Dyke” has established a new model of communal living and farming, using environmentally friendly farming methods, while also engaging in exchanges with local farms to share good food and good ideas with a greater audience. 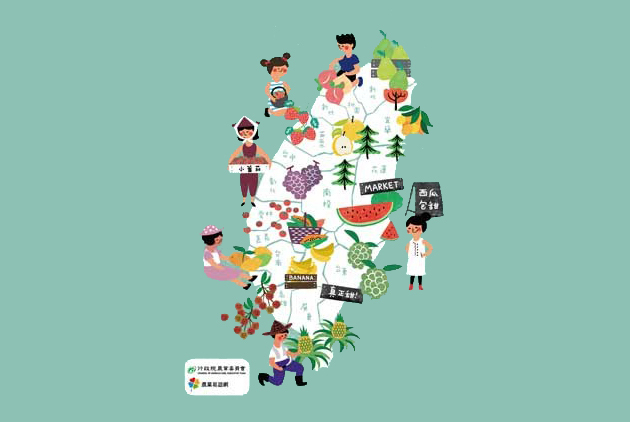 A first in Taiwan, the curriculum in elementary schools in Tainan, one of the island’s major agricultural regions, includes “food education”. 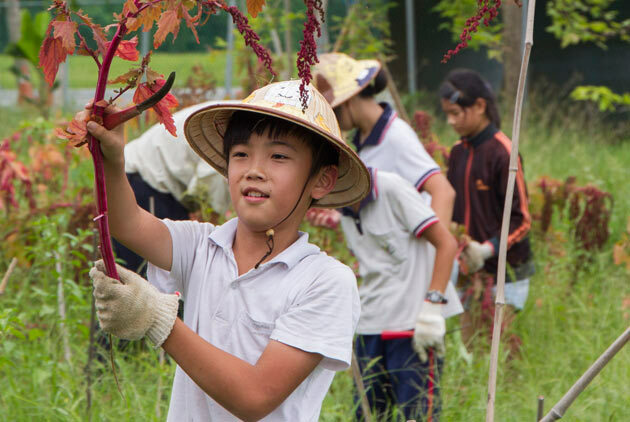 By growing their own food, students gain greater self-confidence and develop a stronger bond to the land. 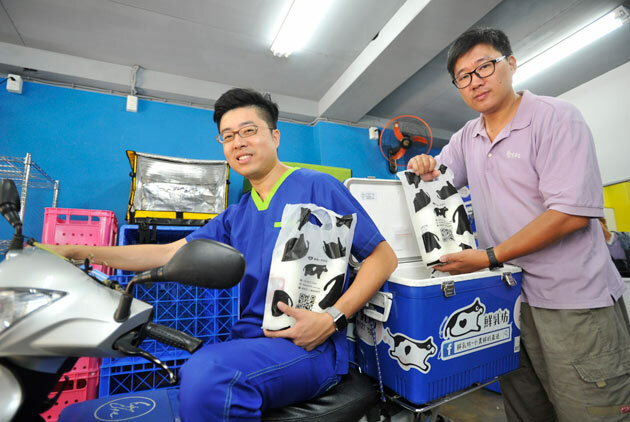 Veterinarian Kung Chien-chia witnessed the problems of Taiwan’s dairy industry first-hand on his daily visits to rural dairy farms. Realizing that the farmers are at the mercy of the island’s three major milk brands, Kung decided to rewrite the rules of milk distribution. 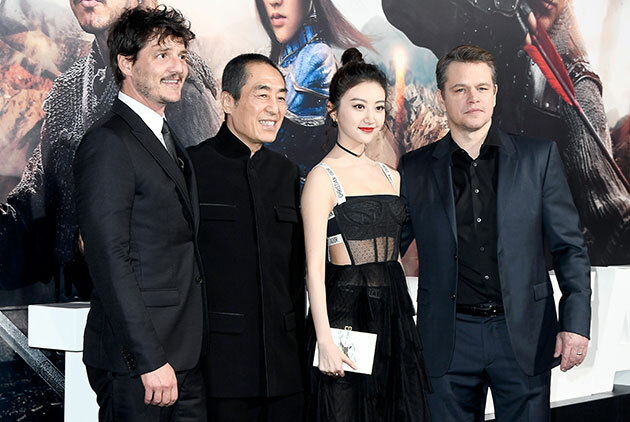 From buying Hollywood talent and acquiring movie theater chains around the world to protecting its home market, China is intent on becoming a powerhouse in the global film and video industry and setting the agenda on video content. 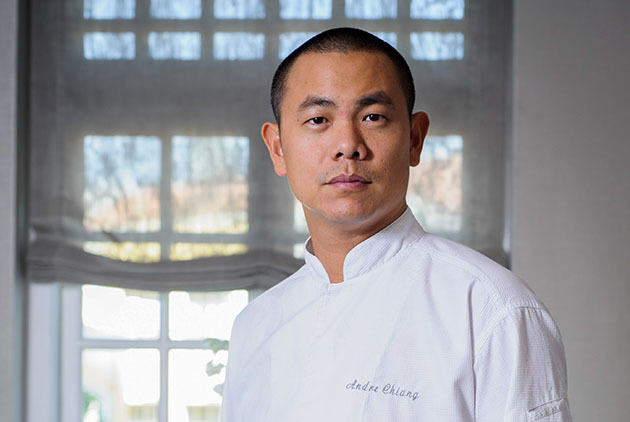 Chef André from Restaurant ANDRÉ, one of the 50 best restaurants in the world, chef Daniel Humm and manager Will Guidara from the Michelin-starred restaurant Eleven Madison Park have an astounding cooking trio together, creating one of the most sensational dining experience ever. 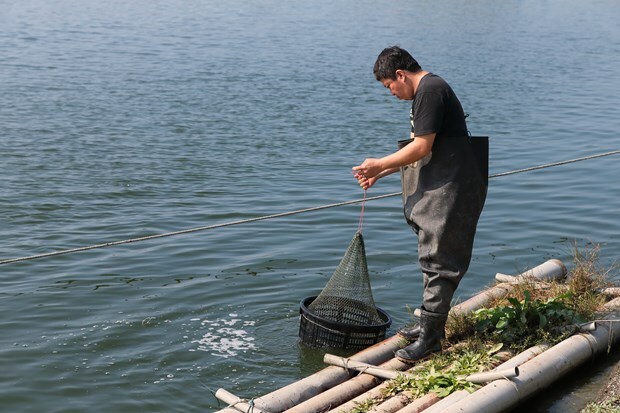 A milkfish farm in Kaohsiung has found success with ecological aquaculture, using mostly all-natural feed. Its experience has raised hopes that eco-friendly fish farming can maintain supplies while allowing our exhausted seas to catch their breath. 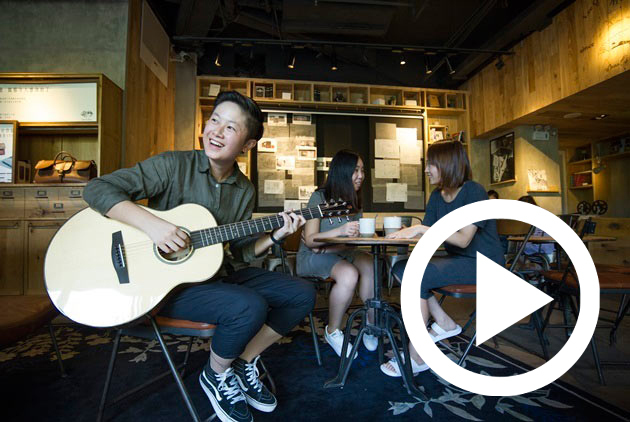 Romantic yet practical, Taipei’s free-flowing creative energy is surging beyond Taiwan and into ethnic-Chinese communities around the world. 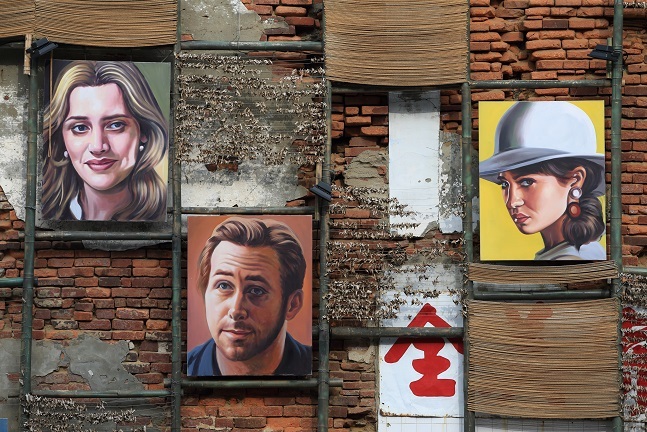 Even countries in the West are showing fascination with the city’s creative expression. 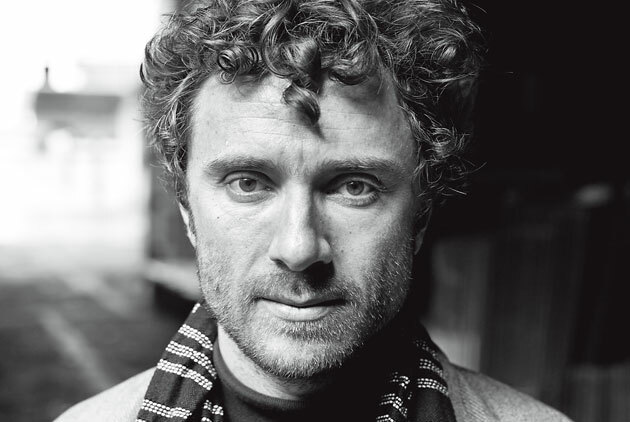 Like his projects, Thomas Heatherwick operates in a world of practical considerations and constraints, relentlessly working to bridge modern cities with the individual need to feel important and productive. 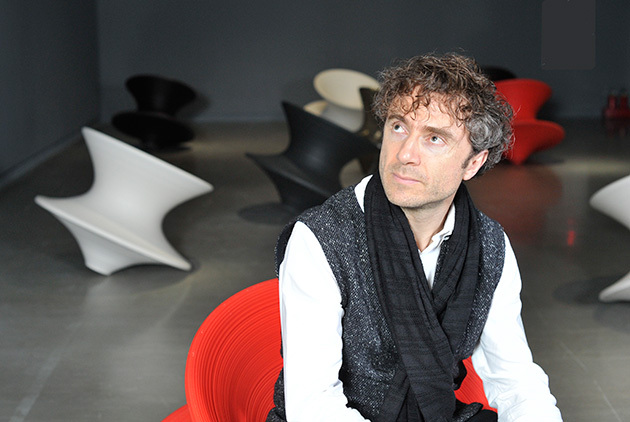 Inside Heatherwick Studio, an exhibition at the Taipei Fine Arts Museum through May 15, celebrates and gives insight into the mind behind such projects as the Garden Bridge and the British Pavilion at the 2010 Shanghai World Expo. 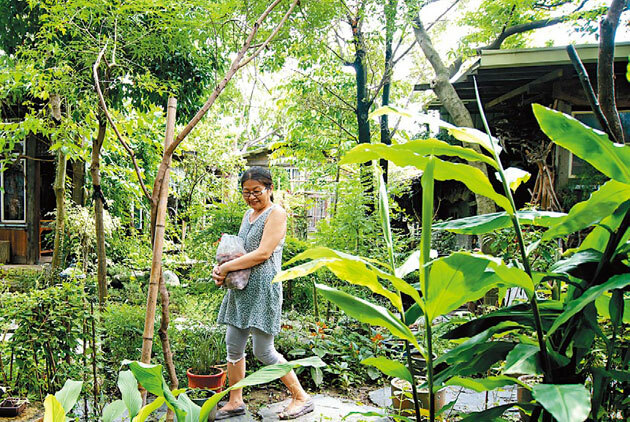 Once a high-profile media figure in Taipei, Hsu Lu now enjoys a quiet existence in laid-back Taitung, where she is redefining the concept of "home" and "family" on her own terms. 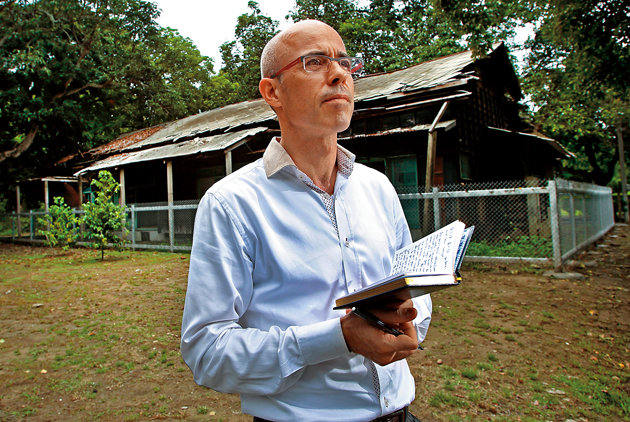 Inside a cluster of decrepit wooden houses dating from the Japanese period, French scholar Stéphane Corcuff came across a wooden ancestral memorial plaque that changed his relationship with Taiwan. 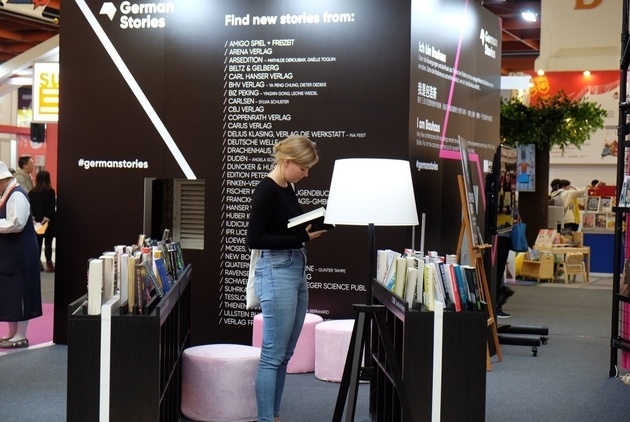 Building momentum out of niche interests, she is working to raise issues that help reinsert depth and breadth back into Taiwan's increasingly superficial publishing market. 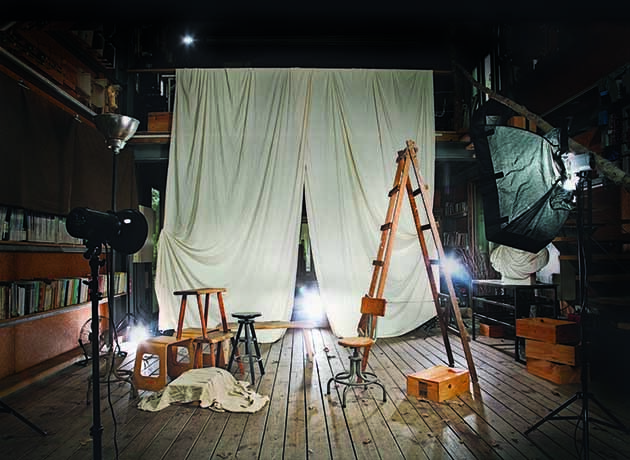 Having barely graduated from university ten years ago, Tsai Pao-chang created a novel play consisting of six one-hour episodes, building his reputation as one of Taiwan's most promising theater talents. 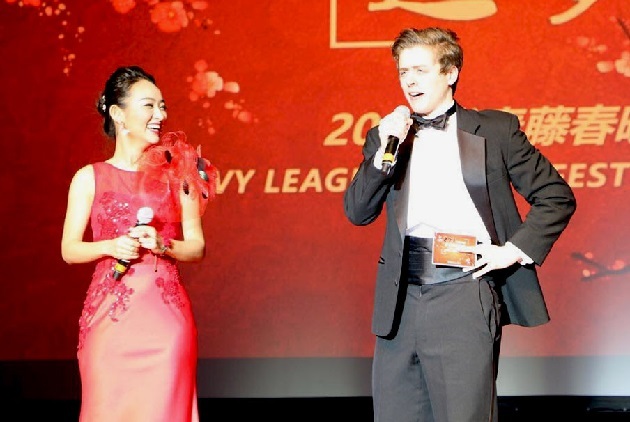 Now, Tsai wants to take his innovative playwriting abroad to entertain European audiences with plays in English and French. 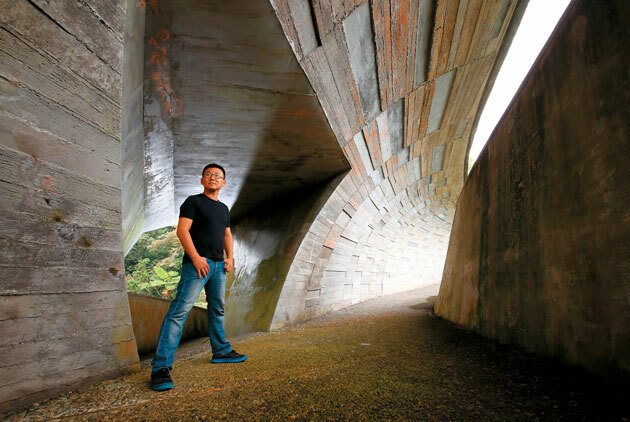 Huang Sheng-Yuan's many architectural landmarks in Yilan reflect a free and rebellious style honed over the past two decades. That sometimes unappreciated style has now earned him the chance to exhibit at a Japanese architectural shrine. Jonathan Franzen is known for taking on Twitter and Facebook and lamenting how reading is becoming a lost art. 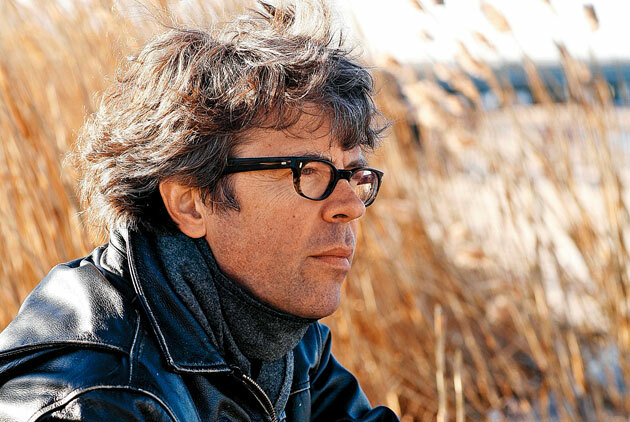 In this exclusive interview, Franzen talks about how reading and literature have an important role in the new digital era. 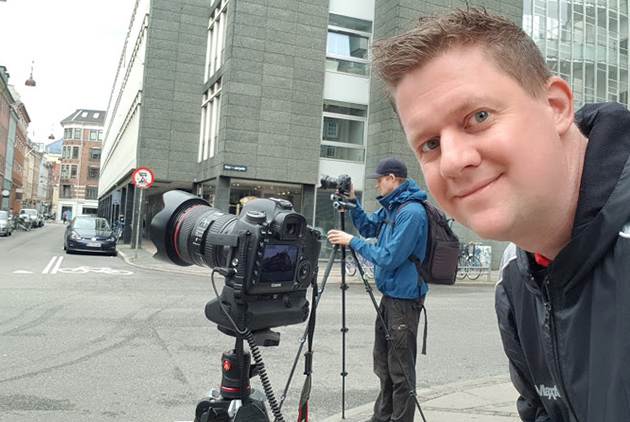 Older people swore it couldn't work, but for the team at 1987 Studio, opportunity was right there before them, and they are determined to pave a new way in filmmaking for themselves and their young peers. 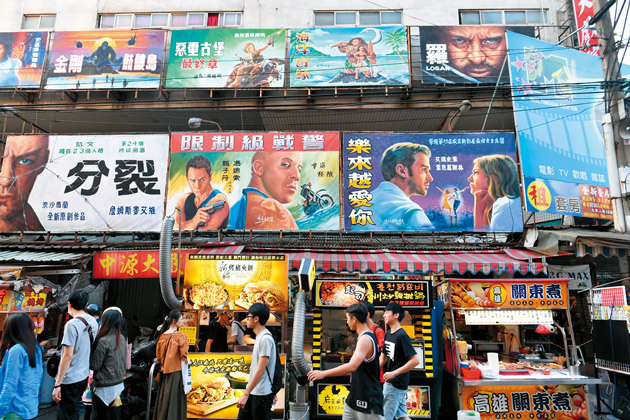 Lukang has a nostalgic grip on its natives who work in other parts of Taiwan, a grip so strong that budding arts manager Chaz Chang has returned, hoping to bring the arts to his backwater hometown. 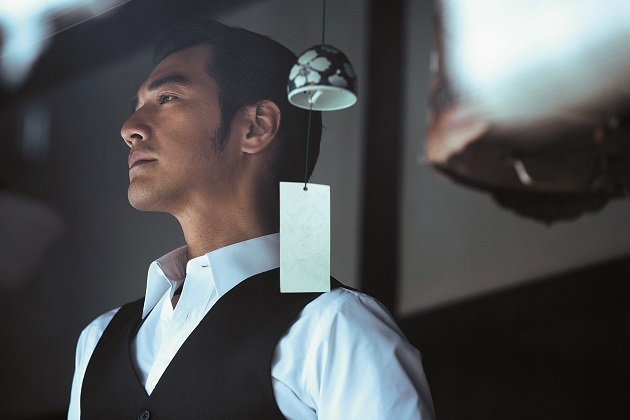 CommonWealth Magazine talked to Takeshi Kaneshiro when he returned to his native Taiwan recently to promote his latest film. Out of the limelight, Kaneshiro is very different from his melancholic heartthrob on-screen persona. Can Taiwan Keep Reigning Supreme? 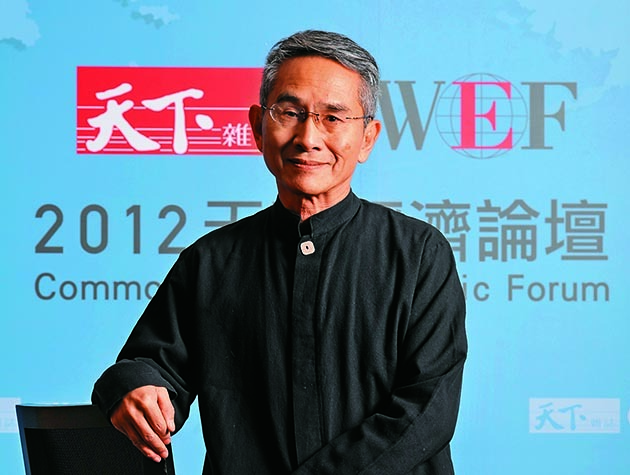 Taiwan occupies center stage in the ethnic-Chinese music world. How is it coping with the digitization of music, the decline of albums and competition from China, to maintain and fortify its position of strength? 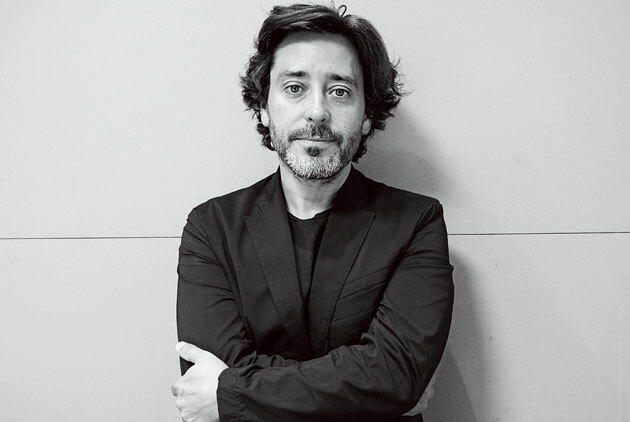 He is the man behind the stunning UK Pavilion at the 2010 Shanghai World Expo and the 2012 Olympic cauldron. How does this uncompromising "Da Vinci of our times" present a new Great Britain to the world? The British design team of Barber and Osgerby gained world fame with their design of a stylish and light all-weather Olympic torch for the London Olympics in 2012. What is the source of their creativity? 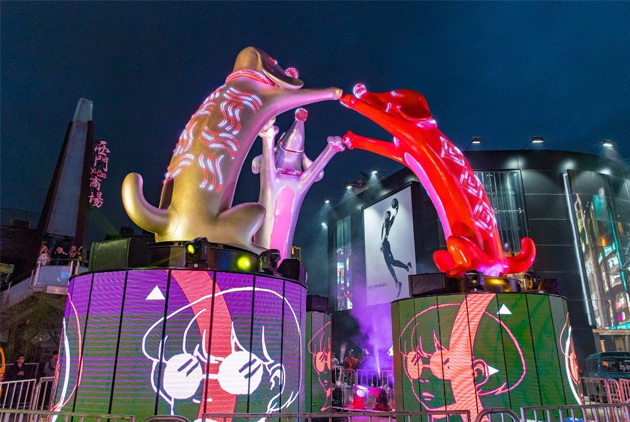 People from Hong Kong have swarmed to Taiwan in recent years to enjoy its night markets and slower pace of life and to learn from its "happy protests." But an unmistakable disenchantment with Beijing may lie behind this infatuation. 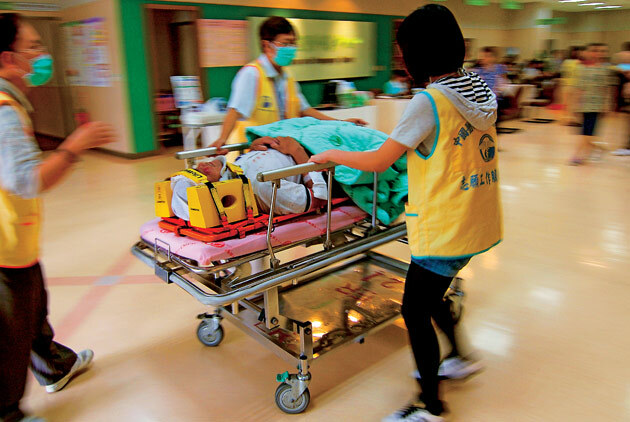 One in every four Taiwanese suffers from anxiety, depression or other mental disorders. 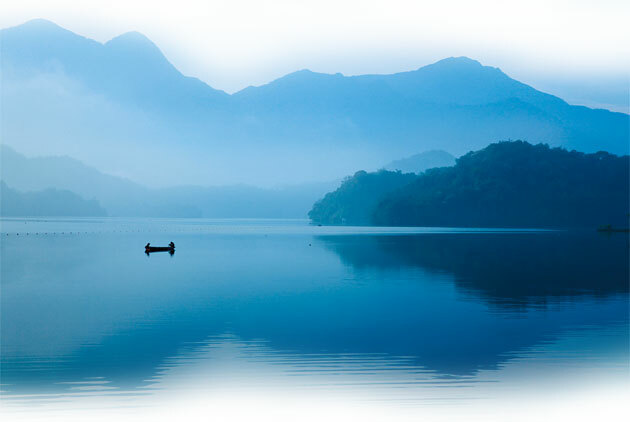 The more turmoil we face, the more we need tranquility for clearer thinking. 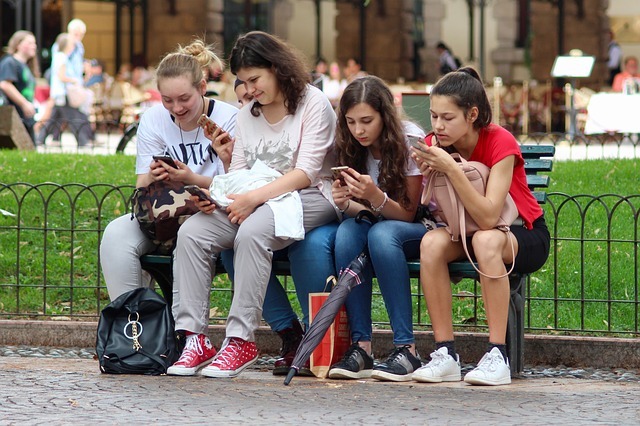 Accustomed to affluence, the newest generation of youth in China and Taiwan has never known a world without the Internet. Their lifestyle and consumption patterns are rewriting the retail world. You don't need to sit in a classroom to learn. 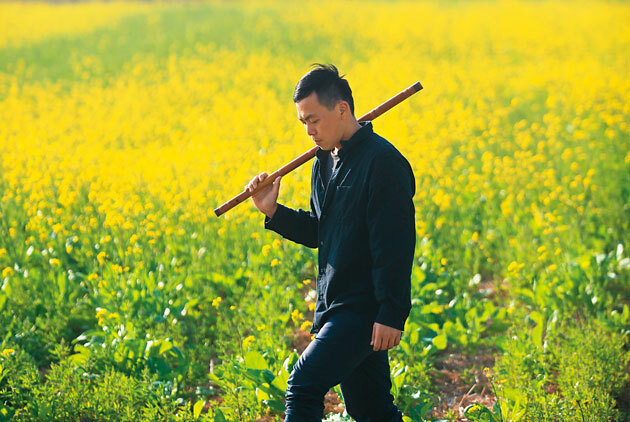 At National Dong Hwa University, students explore every nook and cranny of rural Hualian County, sparking new enthusiasm and creativity. 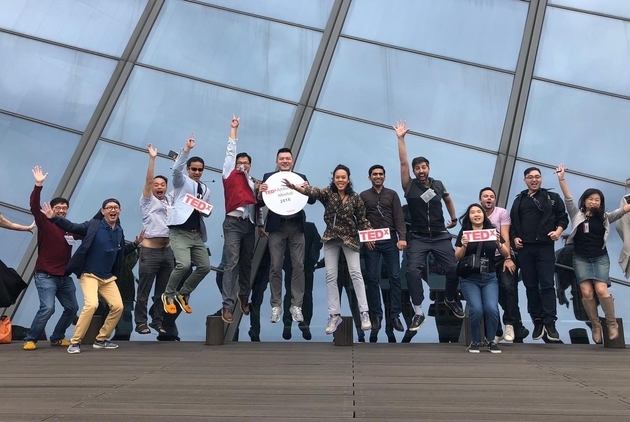 Taiwanese officials warn of a looming talent gap, yet Taiwan boasts a talent pool of nearly one million people with advance degrees. After studying for more than 20 years, why are they facing such difficulties finding decent jobs? The convergence of fewer students, globalization and pressure-packed evaluations is brewing a perfect storm for Taiwan's higher education system. Where will it all lead? 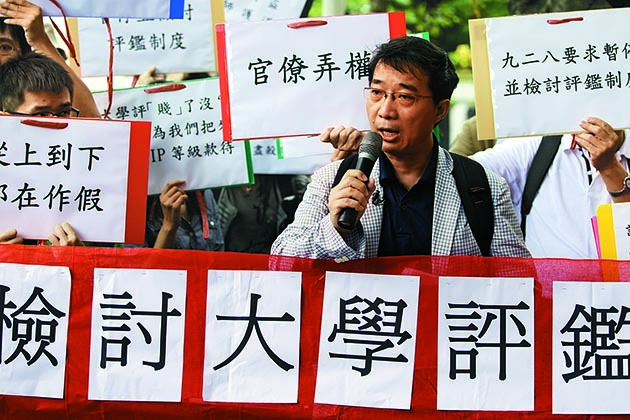 Within two decades more than one third of Taiwan's universities may have to close down for want of students. 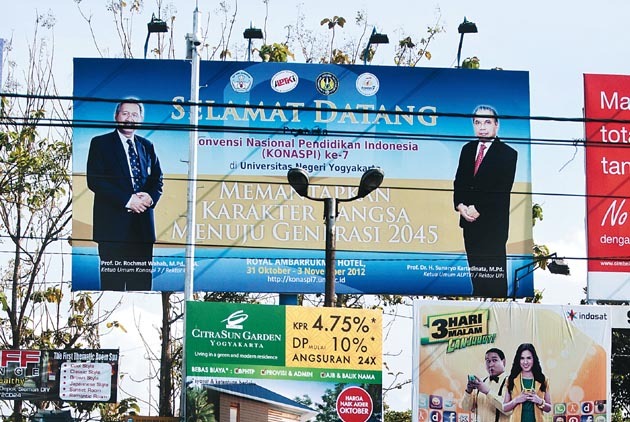 All of a sudden, university presidents and professors alike are being forced to peddle their services. 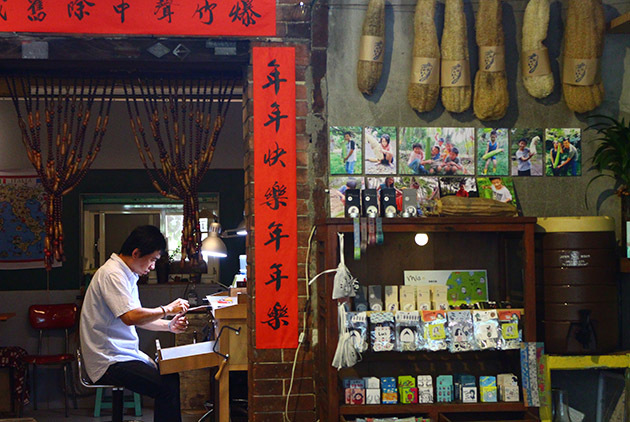 As more and more cultural immigrants plant their roots in Tainan, Taiwan's first capital city is slowly emerging as the island's creative and cultural Mecca. 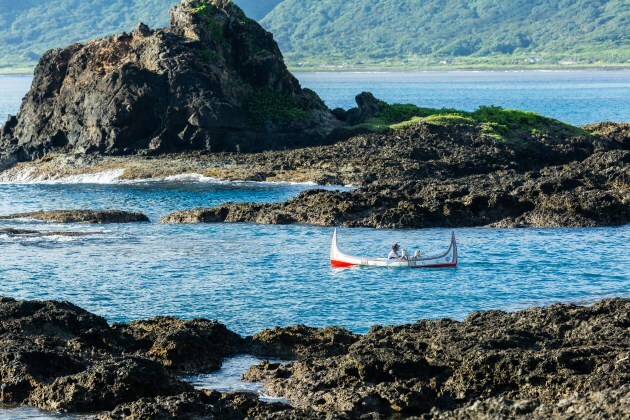 Along Taiwan's north coast the stocks of squid are in decline. 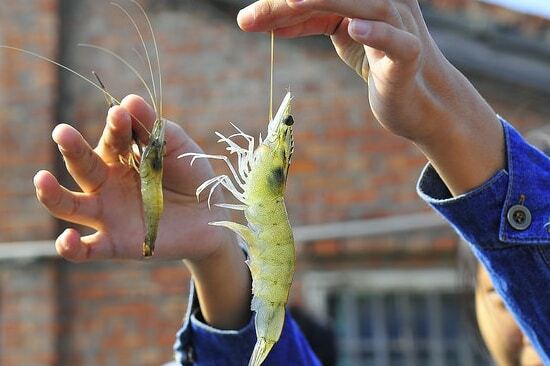 Fearing for their future, local fishermen have decided to fight for the sea creatures on which their livelihoods depend. 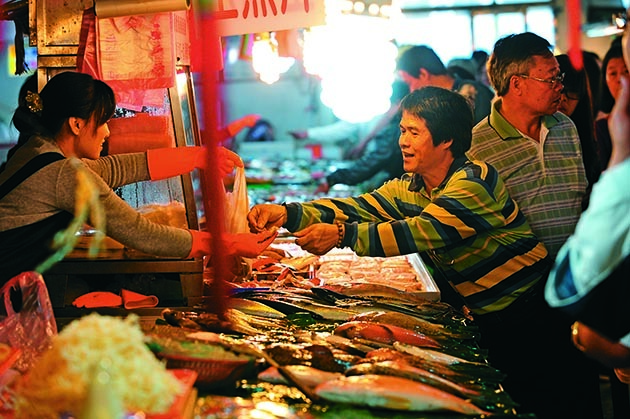 Taiwan's residents consume huge amounts of seafood, but much of it is imported rather than caught in waters off the island. Why is that? And is there still time to reverse the situation? Many top Taiwanese execs stay actively engaged in the world of athletics, and the lessons they learn serve them well. 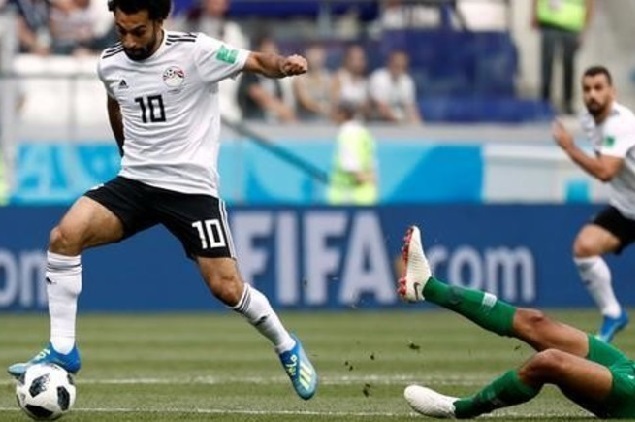 What are the "golden rules" of management that sports can teach? 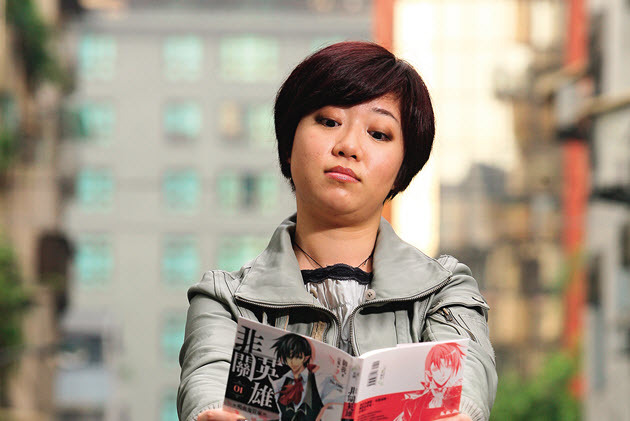 The first Taiwanese cartoonist to secure a long-term serialization deal with a Japanese magazine, Zeco's armor-clad young beauties armed to the teeth have Japanese fans praising the quality and creativity of Taiwanese comics. 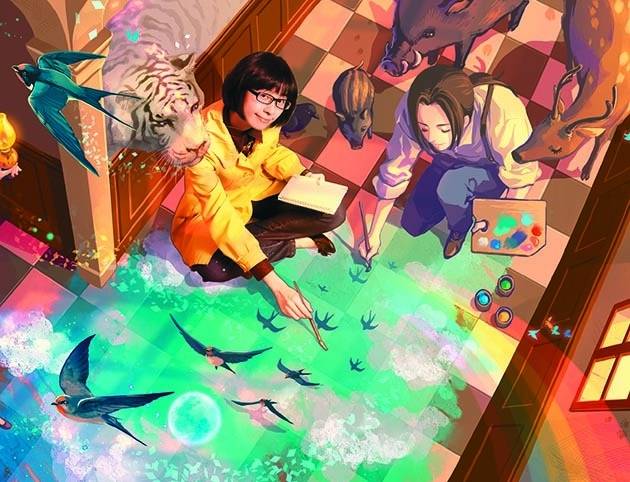 A twentysomething woman brings to life 19th-century Taiwan in her modern graphic novels. 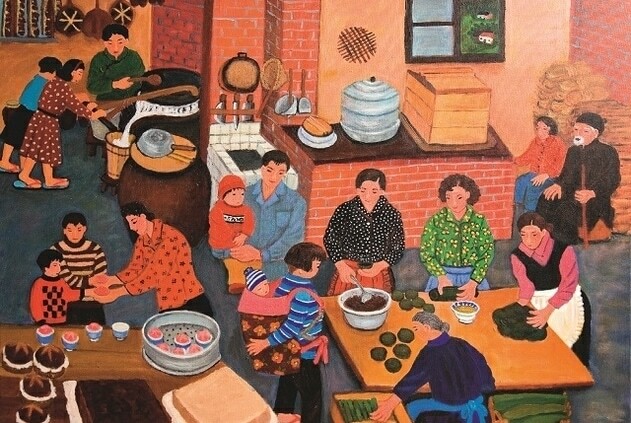 Every composition and every line in her drawings reveals her imagination and her feelings for her native Taiwan. Returning to Sun Moon Lake to start a business, Lin Yi-bei never expected her little owls to make such a mark on her community. Her inspiring story shows that people can choose their own path in life. 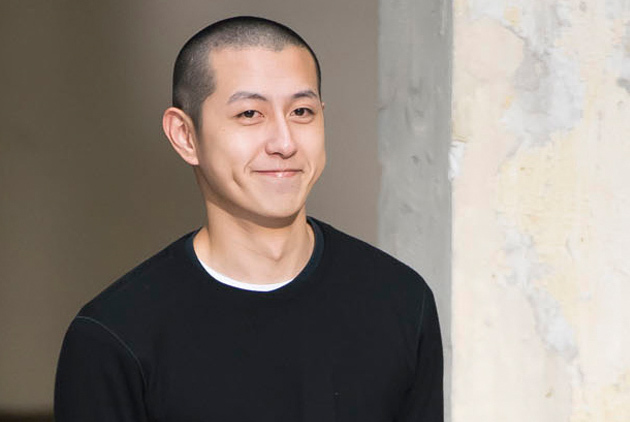 Throughout his career, entertainer Jaycee Chan has had to fight to step out from under the shadow of his superstar father, Jackie Chan. 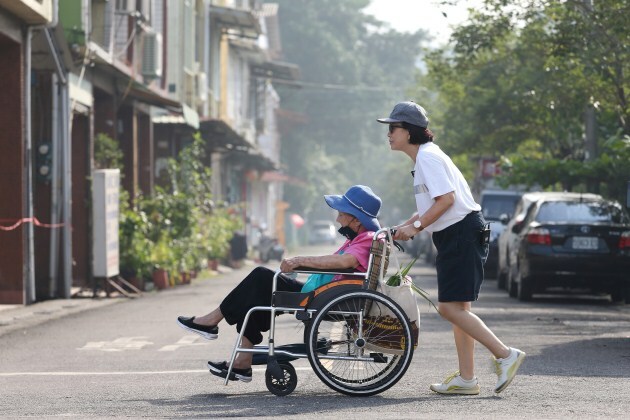 But with the tireless help of his Taiwanese mother Joan Lin, he has managed to come into his own. The future belongs to those who create their own opportunities. 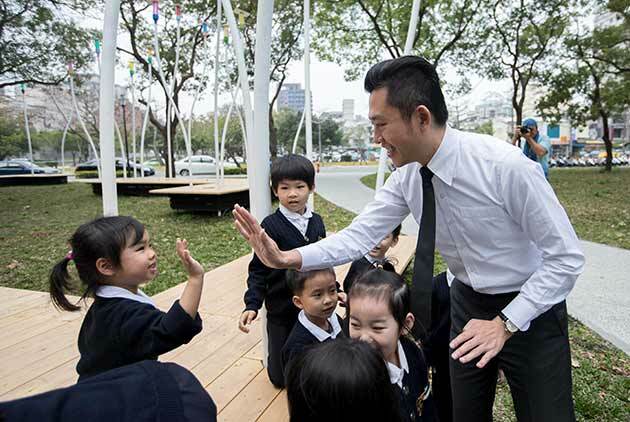 CommonWealth Magazine looks at some of the future leaders who will reshape Taiwan in the years to come. 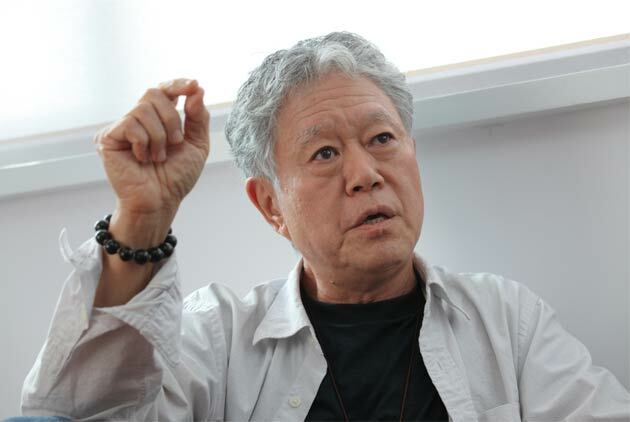 The selection of curator for the Taiwan Pavilion at this year's Venice Architecture Biennale was a major departure from the norm. What made the selection committee decide this upstart was the right architect to represent Taiwan? MapleStory, a free South Korean role-play adventure game, has been a hit among school-age gamers for five years now. 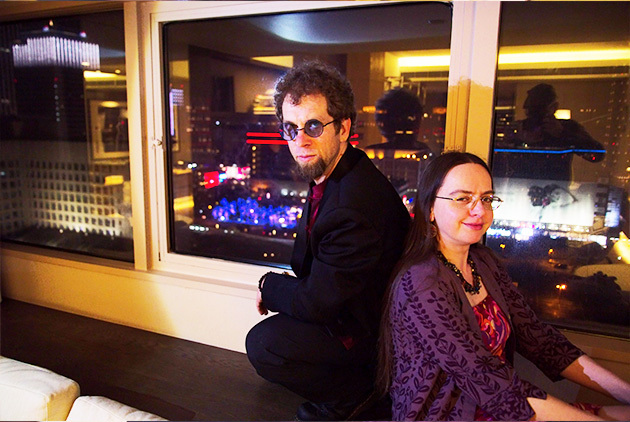 It even entices parents to venture into the fantasy world of their kids. What is the game's magic? 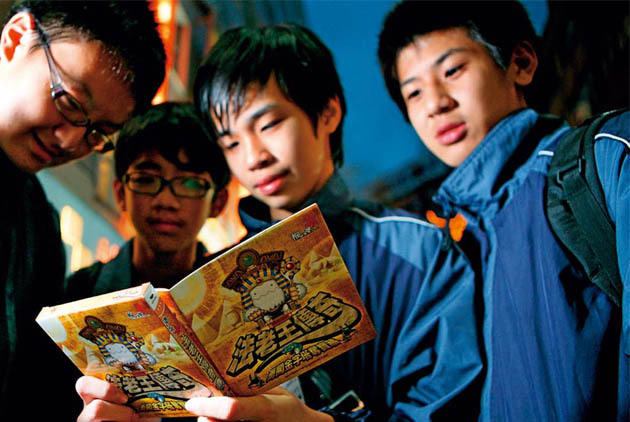 Easy to read and hard to put down, the "light novels" of Taiwanese writer Yu Wo have captured the hearts of the island's young readers. What does her rapid rise to bestseller stardom signify? The right gift at the right time can help forge closer personal relationships, smoothen business ties, and even change a person's life. 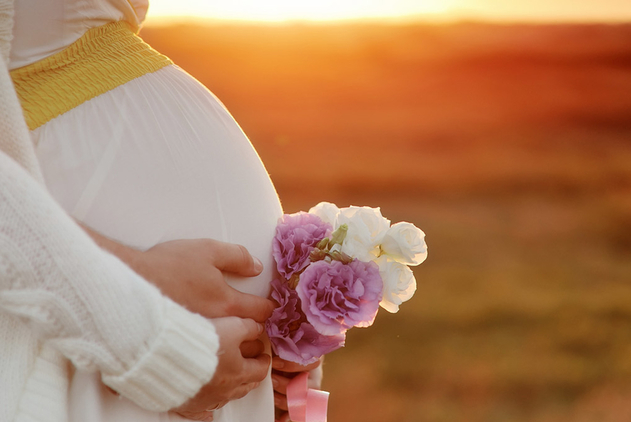 How can we choose gifts that adequately convey our intentions and also please the recipient? When Should Patients Be Allowed to Die? Now that technology can prolong life beyond its natural limits, the biggest question physicians face is not how to keep terminally ill patients alive, but how to help them die a dignified death. With Taiwan's diet increasingly skewed toward meat and wheat, its food supply is ever more vulnerable. To fight global warming, bolster Taiwan's security, and improve your health, maybe the answer lies on your own plate. At Taipei Municipal Song Shan Senior High School, weekly class meetings and school celebrations are different. Instead of empty rituals, students contemplate the meaning of life. 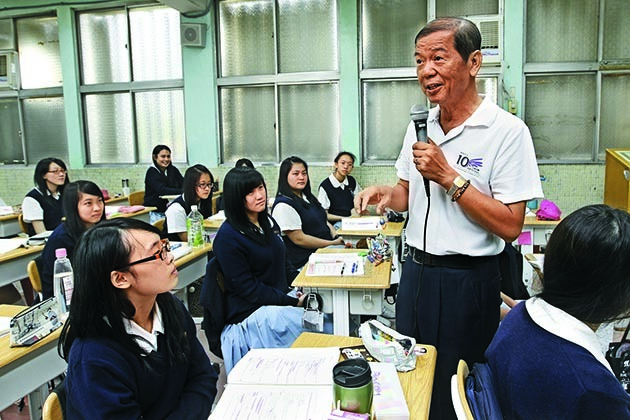 Starting next year, life education will be a required subject at Taiwan's 330 senior high schools. In preparation for the new subject, a fresh crop of teachers has been taking courses themselves. Often, it has proven to be a life-altering experience. 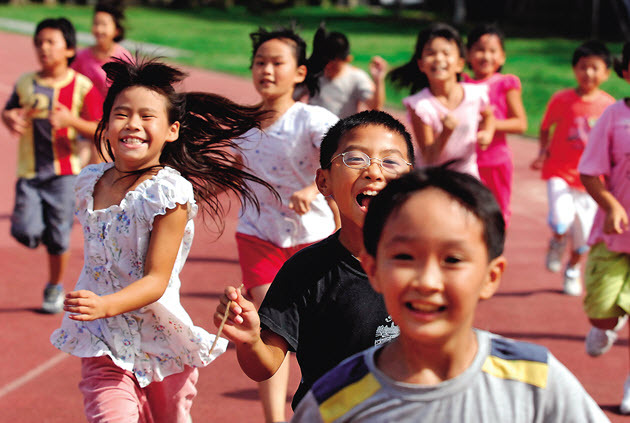 More students are losing their way than ever in Taiwan's test-driven education environment. How can the system be changed to help each one of them win at life? 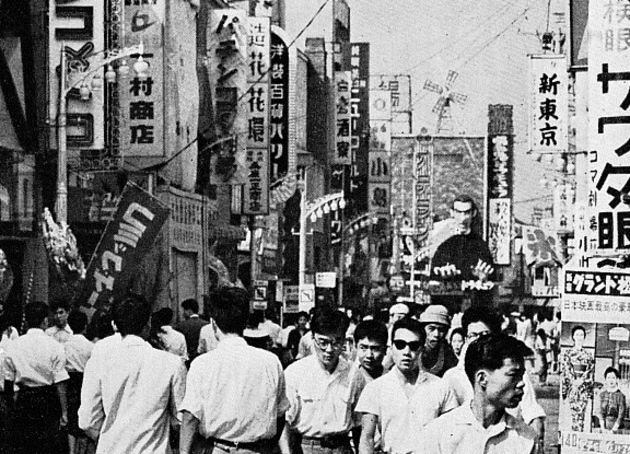 Six decades – a full epoch by traditional Chinese reckoning – have passed since the KMT lost control of China and took refuge on Taiwan, creating the political system and ethnic mix that now define the island. What does the future hold? 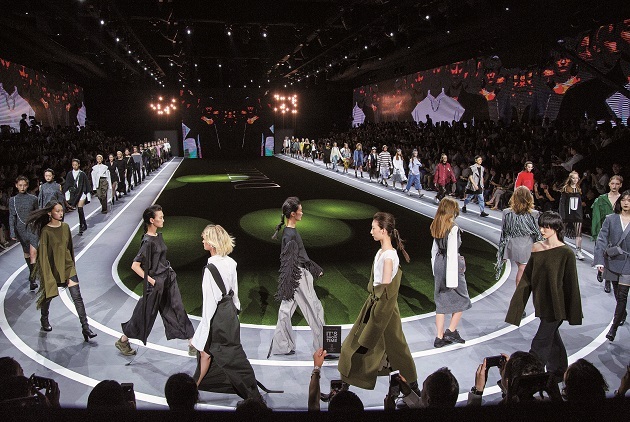 More than just models walking down a runway, the cross-disciplinary fashion shows of Taiwanese creative director Timm Wu are unique artistic performances. In this exclusive interview, renowned Japanese animated film director Hayao Miyazaki explores the process of creation, the perils of the present era, and the divine nature of children. With a mystique of down-to-earth, old-fashioned flavor, Meet Fresh successfully attracts and retains customers by highlighting the handmade character of its products and spreading the heartwarming legend of its founders. 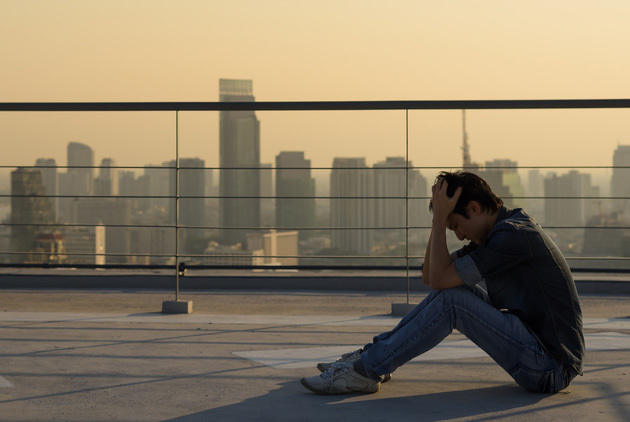 In Japan, Taiwan, and around the world, in the workplace, businesses and political circles, people are desperately seeking the social awareness skills that often mean the difference between success and failure. It's a city full of creativity, freedom and laughter. 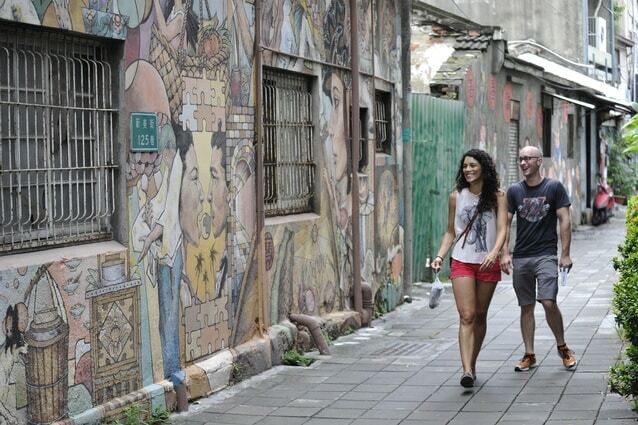 Compared to Beijing, Taipei shines as a fun, multicultural town bursting with vitality. Multitalented Taiwanese pop star Jay Chou has become a synonym for innovative, non-traditional Chinese-language pop music. What is the source of the energy driving his success? In Japan, Korea and Taiwan, more and more people are rising at daybreak, and with the extra time before work, opening up new possibilities for their lives. 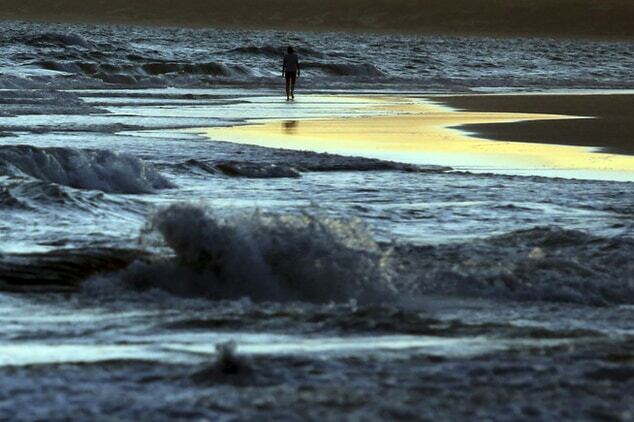 Among the growing ranks of early risers are more than a few corporate leaders. 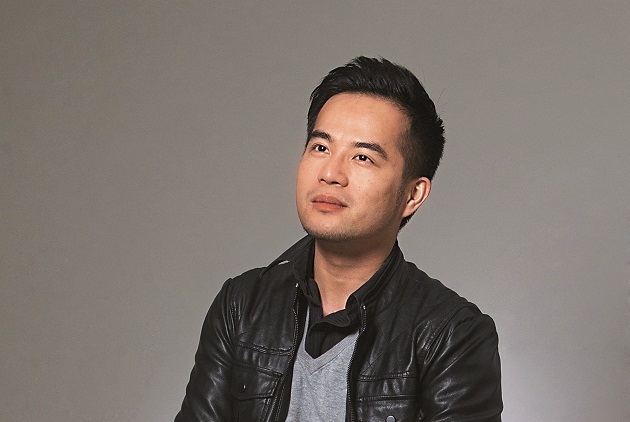 Optoma Corporation general manager for Asia Telly Kuo frequents traditional morning markets, for fresh fruit and fish, and entrepreneurial inspiration. Among the growing ranks of early risers are more than a few corporate leaders. Grand Hyatt Taipei general manager David Pacey uses early mornings to foster his health, boost his energy, and achieve tranquility. 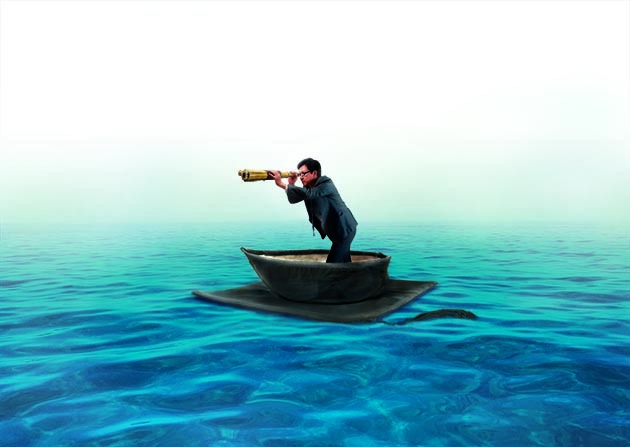 Among the growing ranks of early risers are more than a few corporate leaders. Polaris Financial Group vice chairman Fred Pai uses the morning hours to gather his thoughts, and hearken to his muses. 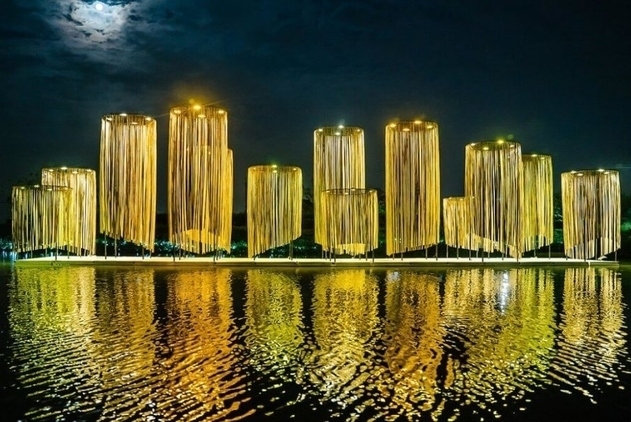 One of the world’s major technology hotbeds, Hsinchu has attracted a high proportion of non-native residents. Can its population of transplants trigger their own brand of urban renewal? This young city intent on change sticks out for its free and easy-going atmosphere, its consumer aesthetics and creativity, and the good life its people enjoy. Along the path of life, each of us needs a 'Buddy' of our own. How do school or work relationships develop into lifelong friendships? The Ultimate Solution to Cancer? 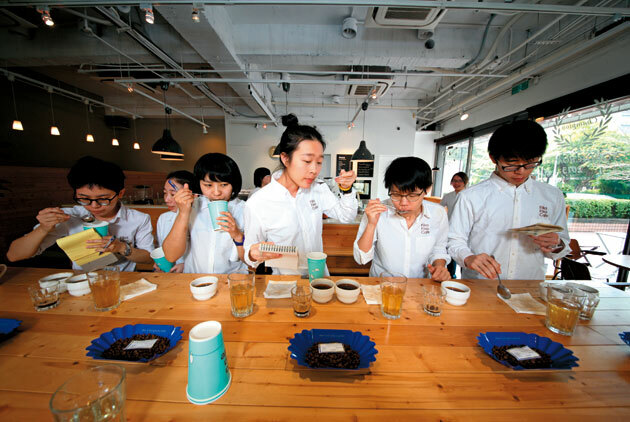 People around the world even Coca-Cola are taking a new look at traditional Chinese medicine. Can its multi-target "cocktail therapy" approach become the ultimate answer to cancer? 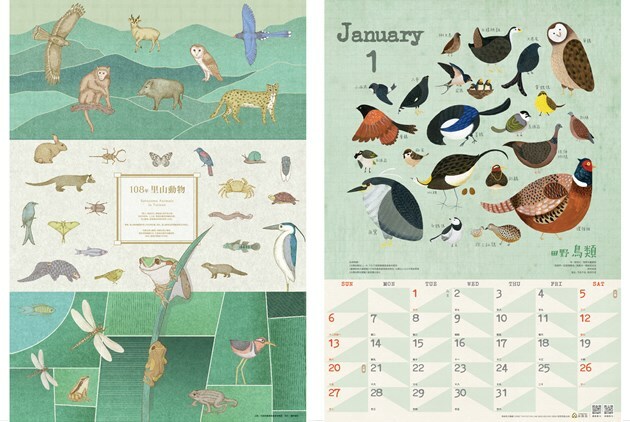 Three mid-career Taiwanese designers demonstrate how they integrate Oriental and Western aesthetics into print, theater, and industrial design to speak the world's language. The paper industry is notorious for consuming energy. But Taiwanese paper manufacturer Cheng Loong has voluntarily cut greenhouse gas emissions, joining the vanguard of Taiwan's green revolution.